Encrypting Lebanese broadcasting television channels is under consideration and has sparked a debate in the country, since it would increase prices on household and cable providers. 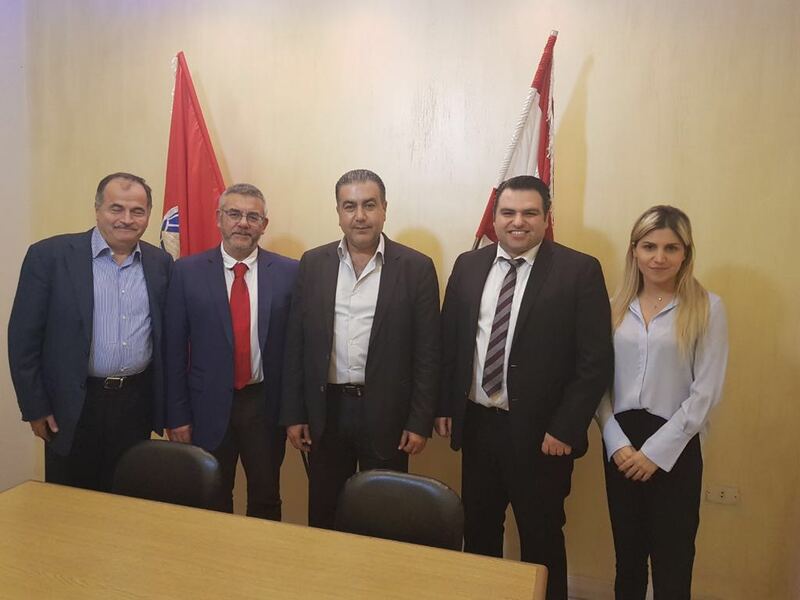 LIMS Senior Policy Analyst Mr. Majdi Aref showed that Lebanese stations find themselves in dire need of new revenue, to continue investing in new content capable of competing with regional and international platforms such as Netflix and OSN. Mr. Aref believes that increasing prices will push consumers from domestic channels towards cheaper alternatives. 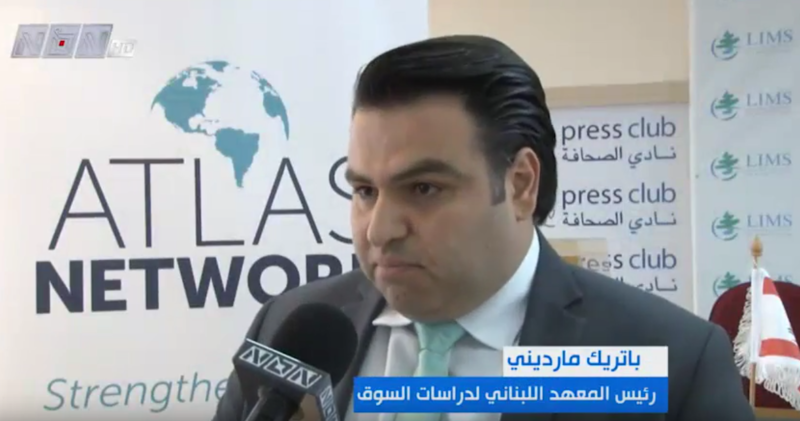 He also stressed that the lack of proper internet infrastructure is preventing Lebanese television channels from adequately monetizing their content. 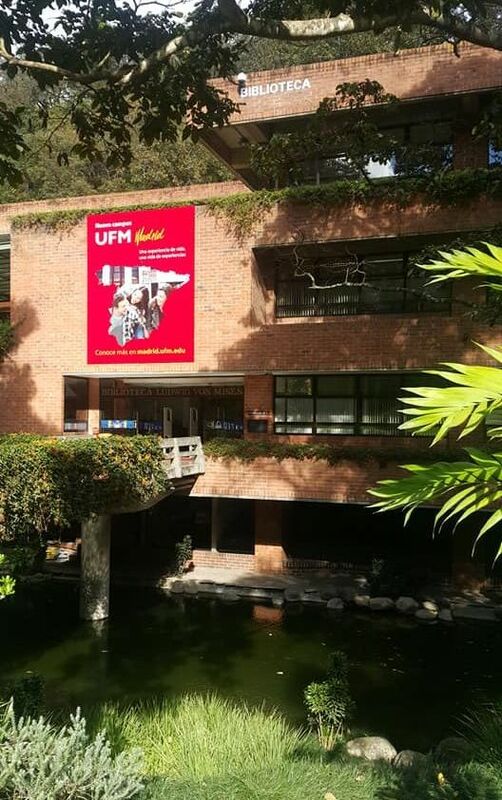 In a series of presentations at the Francisco Marroquín University, Dr. Patrick Mardini discussed the impact of sectarian/religious institutions on Lebanon’s economic situation. Dr. Mardini showed how Lebanon built an economic system based on small government, private initiative, and free market economy after its independence in 1943. This system managed to keep national peace since government had a limited ability to intervene in sectarian/religious matters. However, the widespread of socialist ideologies in the 60s led to bad policies, civil war, and an inflated government size which is today at the heart of the economic slowdown of the country. According to Dr. Mardini, Lebanon can be improved by changing the institutional factors that limit private initiative and competition. Enlightening discussions between Carmen Urízar, former Minister of Energy and former president of the electricity regulation authority and Dr. Mardini took place. Under Urízar, Guatemala made a very important reform by allowing private companies into the electricity sector. Mrs. Urízar expressed her willingness to help Lebanon and shares the experience she obtained in reforming the sector in Guatemala. A zero dollar cost on the government for an electricity reform is possible. 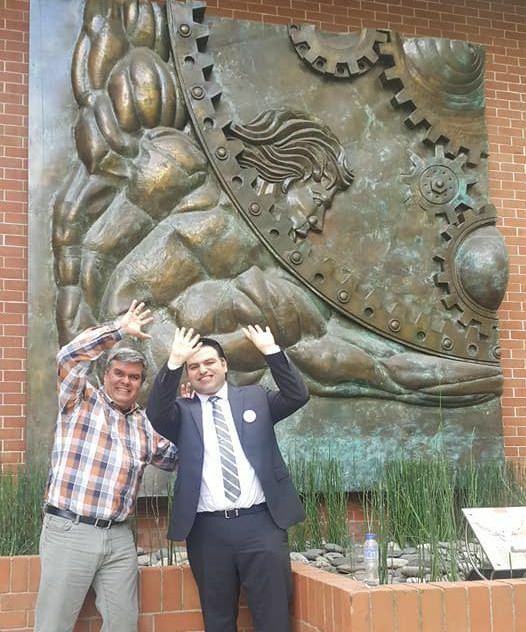 The smart, knowledgeable, and humble Rodrigo Ordoñez, current vice minister of energy discussed in detail with Dr. Mardini about the energy sector in Guatemala before the reform. The country shifted from 18 hours of daily outages to zero hours; from 59% loss to 16%; from 52% electrification to 92%, from buying electricity from Enron's powerships, to becoming the number 1 exporter of electricity in Central America. The whole reform costed the government zero dollars by opening the market to competition and allowing private companies to produce electricity. The Guatemalan case should be considered as a blueprint for successful reform in Lebanon. 64 participants from 18 countries gathered in Antigua to interact, network, and develop projects able to achieve peace and prosperity. Experts from top universities across the world worked with participants on improving the probability of success of their proposals. Dr. Mardini presented his proposal on solving the electricity problem in Lebanon. He stressed the importance of changing the institutional factors preventing competition. Academics, entrepreneurs, and experts shared their feedback on how to align the incentives of decision makers with the interest of the public. Several pragmatic solutions were suggested and will be tested and analyzed. All the staff at LIMS and 2 board members enjoyed a dinner with their guests Mr. Lee and Mrs. Alexandra Benham from the Ronald Coase Institute. LIMS would like to wish everyone a prosperous new year, full of success, peace, and good health. 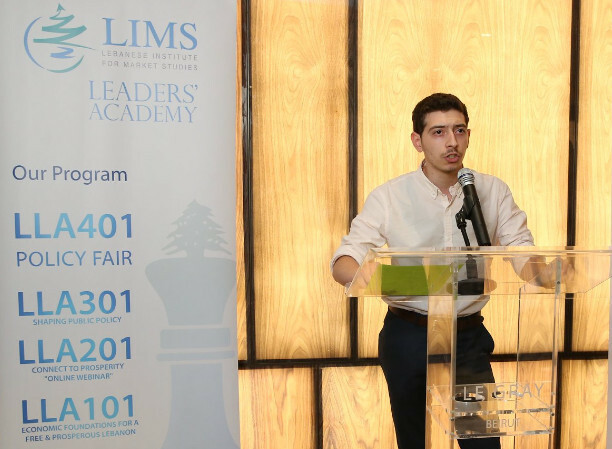 As 2019 is around the corner, LIMS is excited to bring positive change to Lebanon through the organization’s policy research, LLA program, and other impactful events. LIMS Director Ms. Kristelle Mardini participated in the Think Tank Empowerment Program, with 8 think tanks from 8 countries. She talked about the work LIMS is doing in Lebanon, putting focus on the proposed electricity solution. Ms. Mardini pointed out that the most suitable way to improve the Arab world is by implementing successfully-tested market solutions and customizing them to fit each country's society. She also talked about how government interventions in the Arab world failed to deliver growth, jobs and prosperity; therefore, different policies have to be adopted in the future. 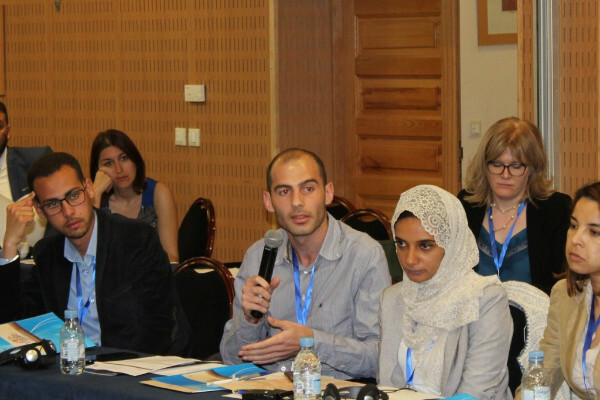 What Role Do Think Tanks Play in the Arab World? Ms. Mardini attended the 4th edition of the Arab Liberty Festival along with Arab policy experts, economists, entrepreneurs and decisions makers from 8 different countries. Ms. Mardini talked about the Lebanese experience during the 1940s and how the founding fathers of the modern Lebanon were able to ensure a democratic transition, only by liberating the society and limiting government intervention in the economy. She also noted that think tanks are now able to make an impact in their countries by providing sound and feasible economic solutions. 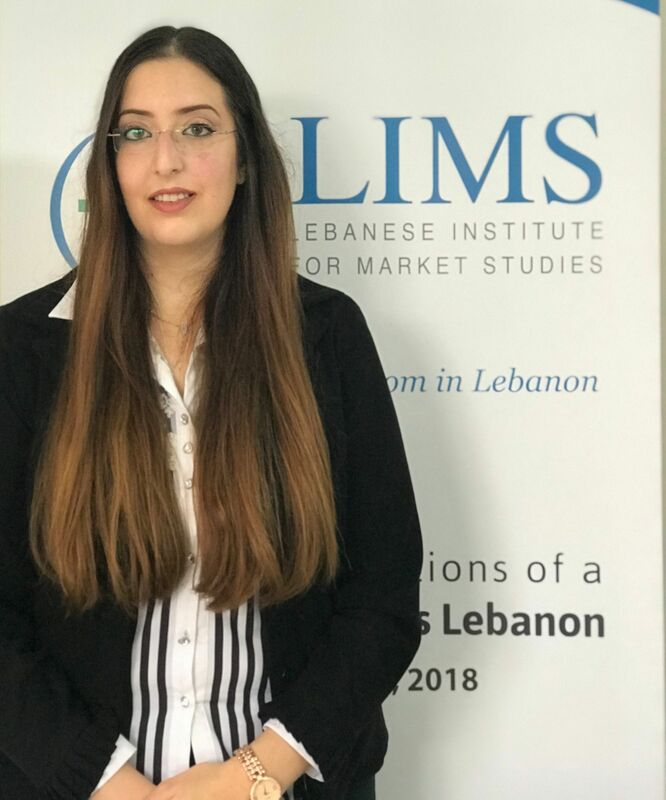 Alissa Abboud joined LIMS in November 2018, she is responsible for managing and engaging LIMS' online community and the think tank's social media presence on different platforms. She is in charge of developing LIMS’ exposure on Facebook, handling the organization’s website and its monthly newsletter. Alissa holds a bachelor’s degree in business administration from the University of Balamand. In Islamabad, 600 participants and international speakers from 12 different countries gathered to discuss how Islam is compatible with economic freedom. Senior Policy Analyst Mr. Majdi Aref showed that economic freedom made Lebanon the Switzerland of the Middle East. Time periods noteworthy for the prosperity they brought are: in the 1800s when Lebanon increased trading with Europe, the post-independence period when Lebanon adopted a free-market economy, and the early 90s with tax cuts and liberalization. 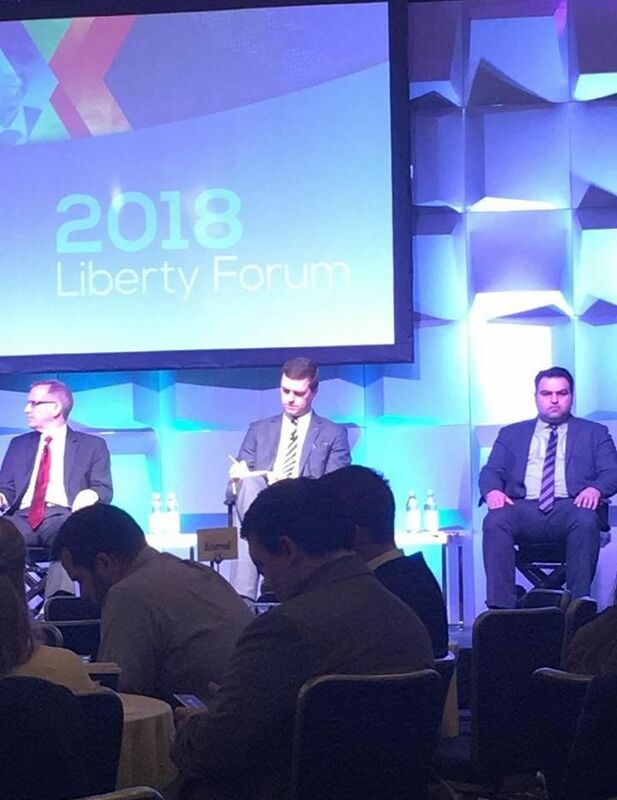 Atlas Liberty Forum brought together over 700 people from 56 countries to discuss shared challenges and to learn from one another about how to most effectively advance market reforms. LIMS’ President, Dr. Patrick Mardini, explained at the Global Policy Impact session about blackouts that happen every day in Lebanon, without fail. He discussed LIMS’ approach to working with policy makers in order to solve the electricity crisis in Lebanon. 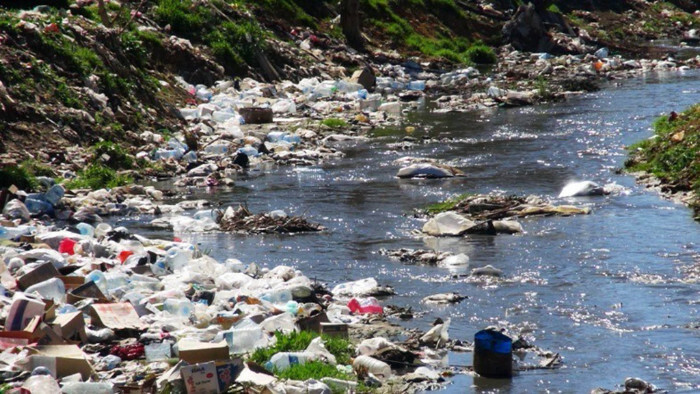 One billion milliliters of microorganisms’ waste seeps into Lebanon’s ground water, forcing people to use polluted water for their daily consumption, causing many infections and diseases. Mr. Majdi Aref talked about the water problem, the absence of a sewage system due to the entire sector being mismanaged, and the financial deficit of the national water company. He stated that the problem can be solved by allowing the private sector to take over. In public schools, student failure rates are 2 times higher than private schools and at the same time some parents are unable to pay for their children’s’ private school tuition. 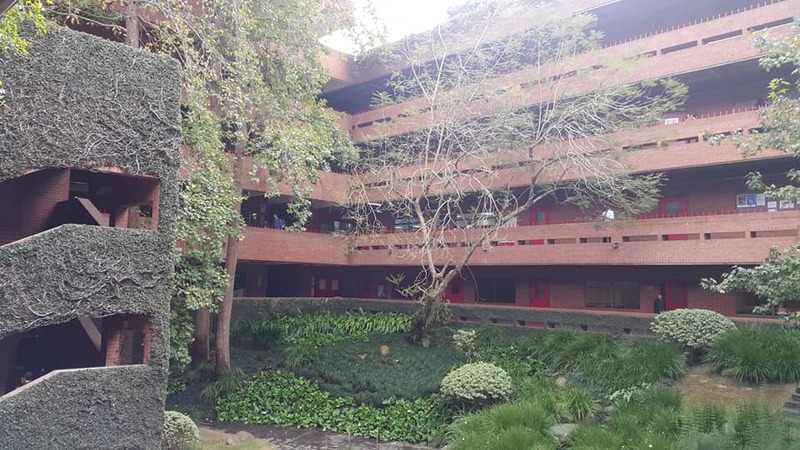 According to LIMS’ Policy Analyst Ms. Claire Basbous, giving parents school vouchers will enable them to put their children in private schools which will increase their education level. By using the voucher solution, around 200,000 Lebanese students will have a chance for a better education and future. For the government this is a cost neutral solution, as the cost of students in public school is equivalent to the tuition of most private school. Lebanon's ranking regressed from 133 to 142 on the ease of doing business index published by the World Bank. Dr. Mardini, gave the example of a series of tariffs discouraging businesses to invest in Lebanon, leading to a rank of 150 on the Trading across Borders index. He also added that if a company was scammed, it is impossible to promptly resolve the problem as it would take 721 days to enforce, a clear discouragement for businesses to open in Lebanon. Policies such as not imposing tariffs and allowing free economic trade, can help companies reach prosperity. 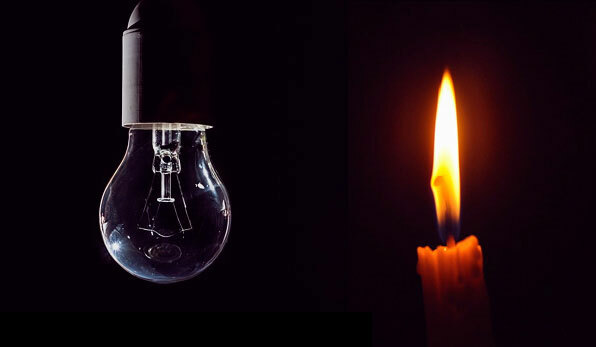 In Lebanon, daily electricity power cuts range from 3 to 14 hours depending on the area. Except for Zahle, the only city in Lebanon that has no blackouts. Electricite de Zahle, a private company managed by Mr. Asaad Nakad, granted a license to produce and distribute electricity exclusively in Zahle back in 1920 before the government monopoly was enforced. Dr. Mardini noted that the problem in the rest of Lebanon is due to a government monopoly over production as private companies by law are not allowed to enter the market. Unlike in London, where consumers can choose between more than 45 different suppliers of electricity. 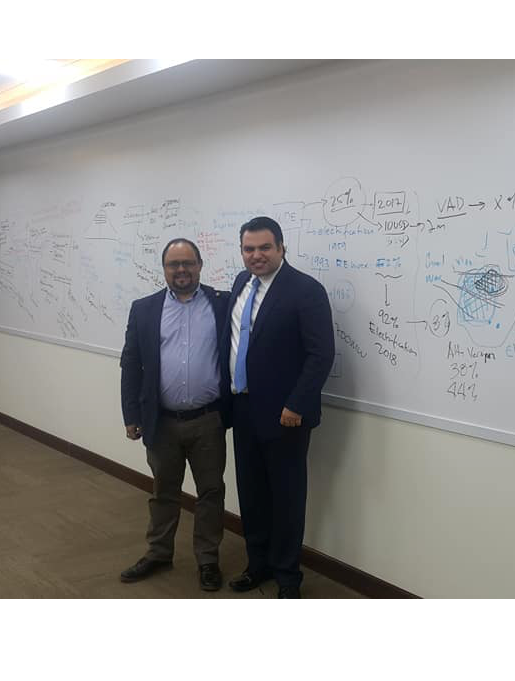 Several universities in Lebanon hosted LIMS’ guest, Mr. Ross Marchand, the director of policy for the Taxpayers Protection Alliance, to discuss regulatory reforms in Lebanon. Mr. Marchand talked to more than 60 students about the unintended consequences and the reach of regulation; he explained the importance of deregulating the internet sector, as the country has great potential. He also highlighted that the tech industry is highly dependent on reliable electricity, a resource Lebanon lacks. 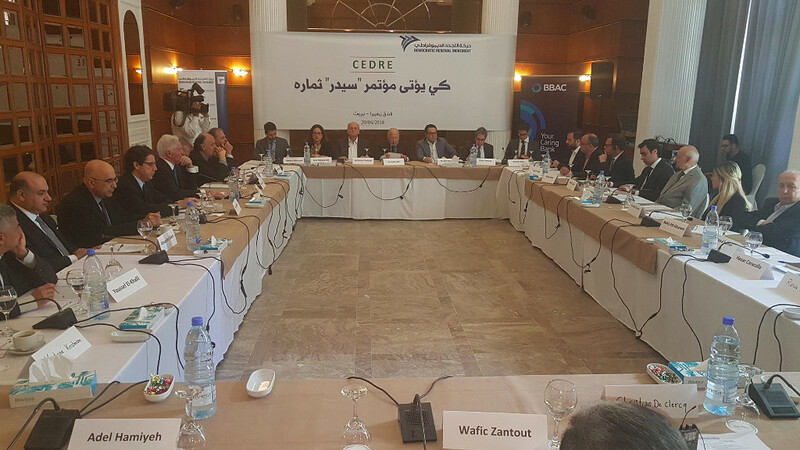 The Democratic Renewal Party welcomed 1 MP, 3 ministers, 25 experts and academics to project Lebanon’s future in light of CEDRE. 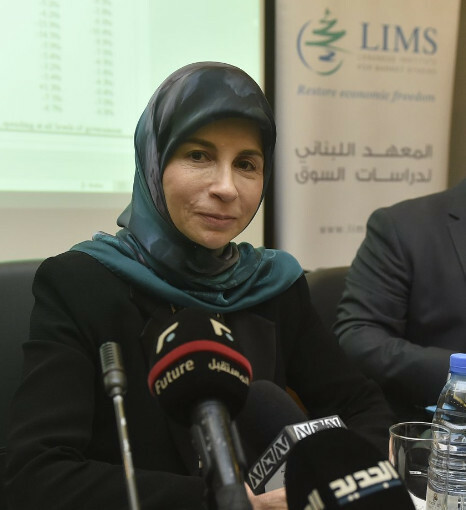 LIMS’ Director Ms. Kristelle Mardini and Senior Policy Analyst Mr. Majdi Aref cautioned on the dangers of further increasing public debt to finance infrastructure, especially since the private sector can provide equity finance and ensure much better management of the projects. They also explained that countries who relied on increasing debt like Greece have failed, whereas others that liberated the economy such as the UK flourished. LIMS has suggested that these reforms mentioned above, be implemented before the CEDRE loans are released. 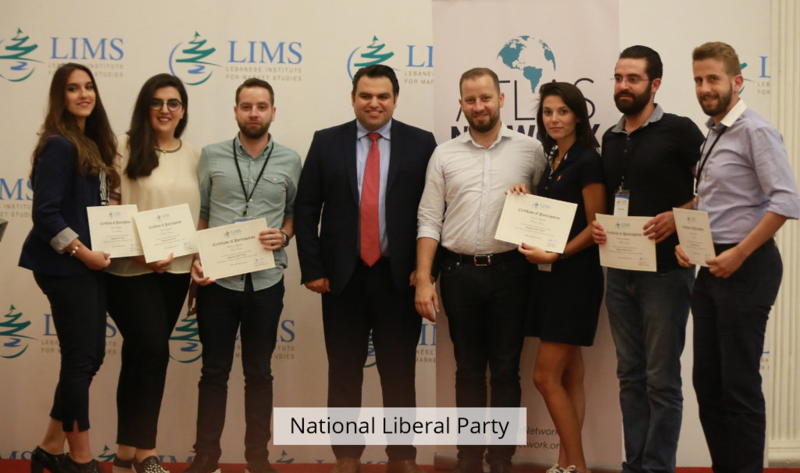 30 activists from 8 political parties celebrated their graduation from the LIMS Leaders’ Academy annual program in one of the most prestigious venues in the capital. 80 guests attended the ceremony representing all political parties, the media, as well as foreign guests. Participants felt proud of the work they achieved throughout the year. During the ceremony, Dr. Dan Mitchell explained that Lebanese people make $12,000 more than average Americans in the United States, but are lacking opportunities in Lebanon. He emphasized that they are ambitious and talented not only in the United States, but around the world. Unfortunately, immense restrictions are prohibiting them from any success within their country. In his speech, Dr. Tom Palmer congratulated all participants on their inspiring work. He explained that while listening to their pitches, no one cared about which party they have affiliations with; instead, all of them focused on improving the current situation. Dr. Palmer also admired the professionalism in the work conducted and that the solutions provided, could have a great impact on the Lebanese economy. LIMS awarded Mr. Ghassan Baydoun the Advancing Liberty Award for his work on enhancing transparency in the electricity sector in Lebanon. This award seeks to highlight and honor people who have worked tirelessly and relentlessly on improving peoples’ lives for the past year. In his speech, Mr. Baydoun explained the importance of honesty and integrity at work and on resisting any temptation or pressure from others. Mr. Baydoun admired the great work of the participants and believed that thanks to them and the program, Lebanon has a more optimistic future. A private insurance for the elderly by the Lebanese Forces Party; opening the telecom sector for competition by the Marada Movement; allowing private companies into the water sector from the National Liberal Party; letting private companies establish a rapid bus transit system by the Progressive Socialist Party; and allowing private companies to enter into the electricity sector in Lebanon by the Tashnag Party. 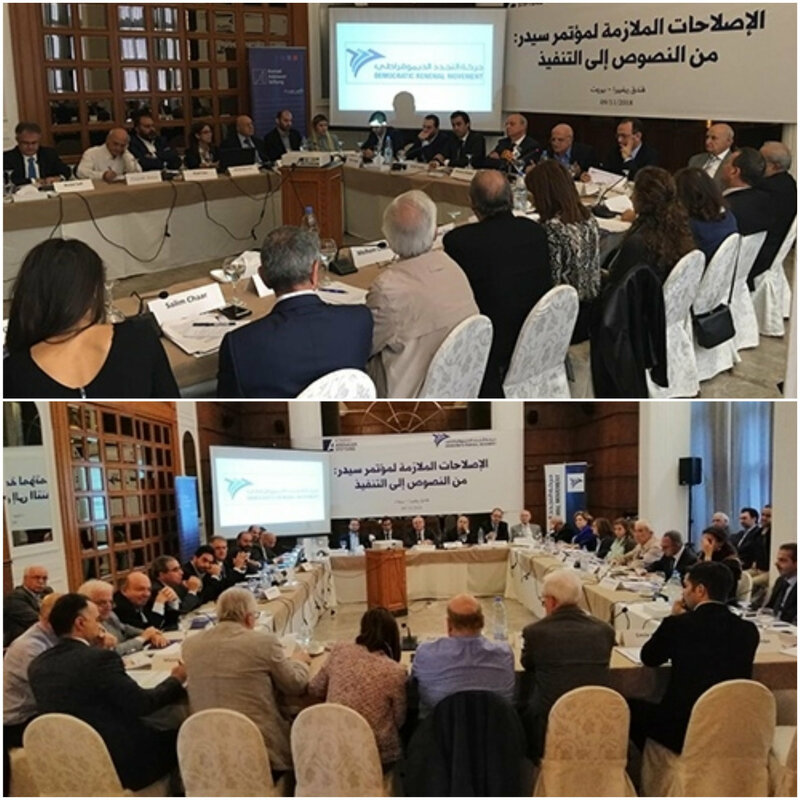 LIMS held a workshop at the Lebanese Parliament entitled “Lebanese MPs Facing the 2019 Budget Challenge” under the patronage of the speaker Nabih Berri, represented by Minister of State for Administrative Reforms Dr. Inaya Ezzeddine. Twelve MPs from eight different political parties participated in the workshop along with 50 other ministerial and parliamentary staff. Attendees took part in the highly interactive workshop session, as Lebanon faces a huge obstacle, and is currently ranked as the third most indebted country in the world. Dr. Daniel Mitchell, one of the world’s leading experts in fiscal policy, focused on the Lebanese debt problem and advised how to reduce it. He suggested adopting a spending cap rule, to control spending rather than increasing taxes. The latter would hurt economic growth, while also decreasing the state revenues instead of raising them. 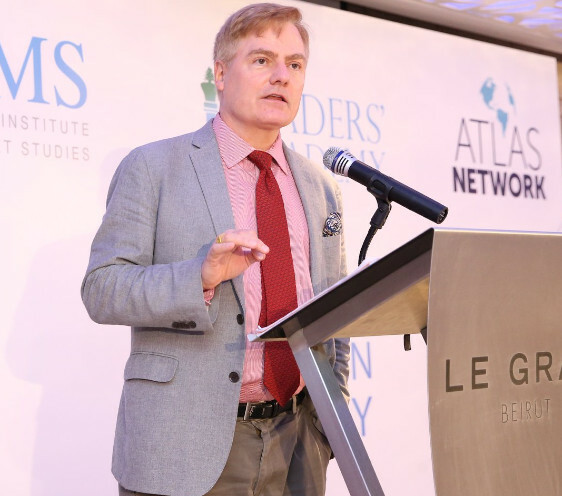 Dr. Tom Palmer, executive vice president for international programs at the ATLAS Network, talked about the economic and financial situation in Lebanon, and noted that Greece’s economic crisis developed due to the government’s random expenditure. In the case of Lebanon, Dr. Palmer emphasized the problem be solved promptly, to avoid a massive crisis in the near future. Lebanon’s political situation and the turmoil in the region would convert any economic crisis into social and security unrest. 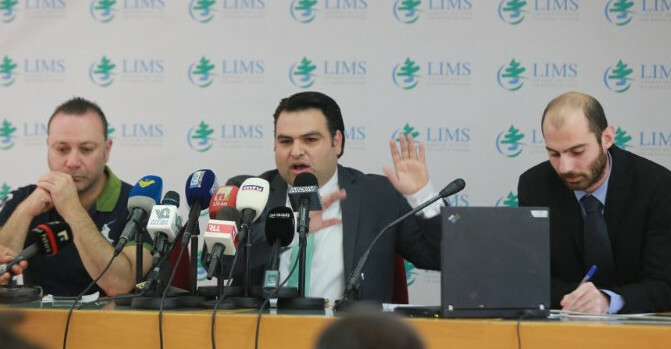 Dr. Patrick Mardini, president of LIMS, focused on the high probability of Lebanon’s default on its debt. He suggested allowing private companies to invest in infrastructure projects instead of depending on government funding. Competition between private companies would secure a better quality service for customers. 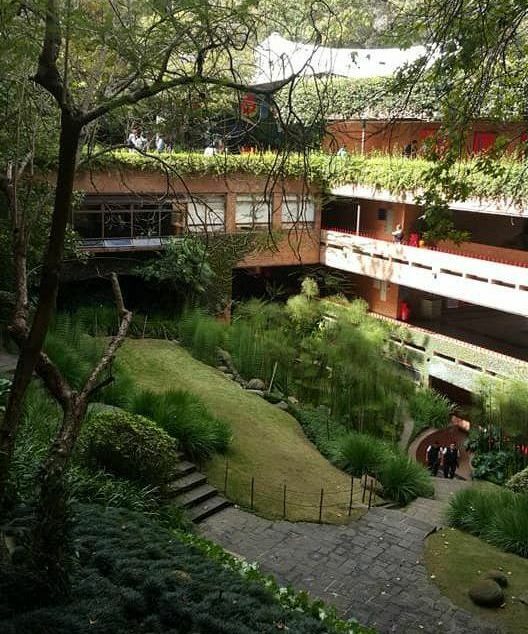 Dr. Mardini suggested the idea of using CEDRE loans to swap the current debt that has high interest to lower ones, which would lead to reducing the public debt service and improve public finances, without sacrificing infrastructure projects. Minister Inaya Ezzeddine stated that the budget was supposed to be an ordinary yearly task, but it has been delayed for 11 years so far. Dr. Ezzeddine focused on digital transformation, anti-corruption, adopting a more just tax system, and organizing relations between the public and the private sector, by helping to develop infrastructure, and public services. Click here for round-table article in Arabic. The news about the Ministry of Energy and Water refusing Siemens offer to deal with the electricity problem in Lebanon created much hype in the country. 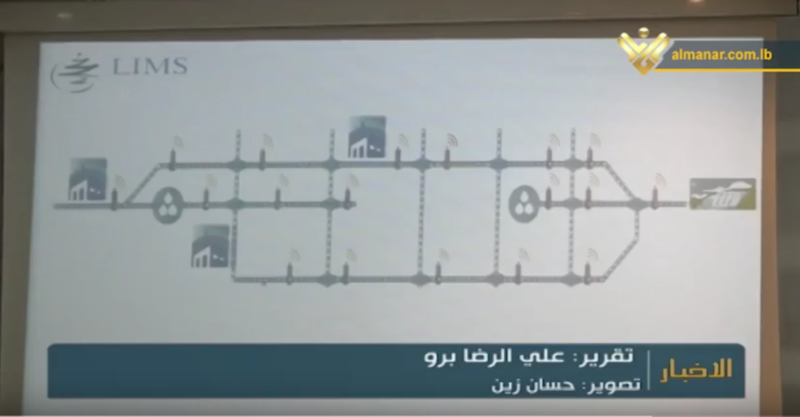 Dr. Mardini intervened on the debate highlighting the integrated solution offered by Siemens included production, transmission, and distribution. He showed that if Siemens offered Lebanon the same price they did to Libya— which is $800 million for 1,300 per megawatt— the Lebanese government would save $500,000,000 compared to the powership deal that the government is trying to rent. 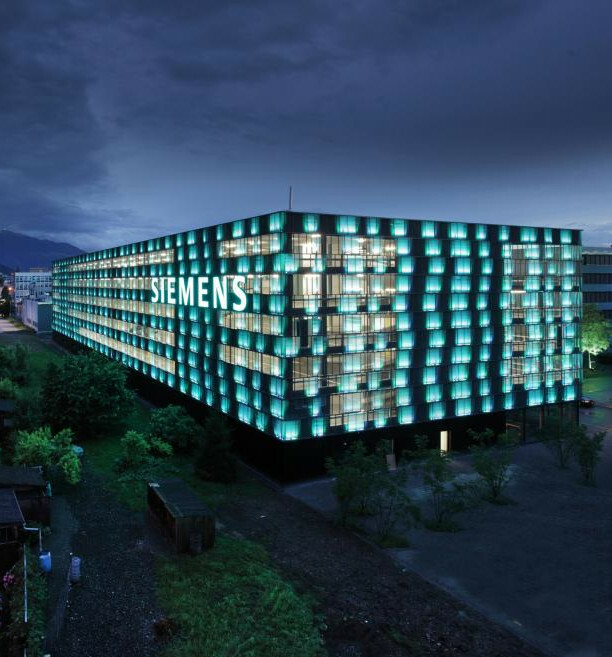 Dr. Mardini highlighted that what prevented Siemens from applying to the tender offer was its restrictive condition. 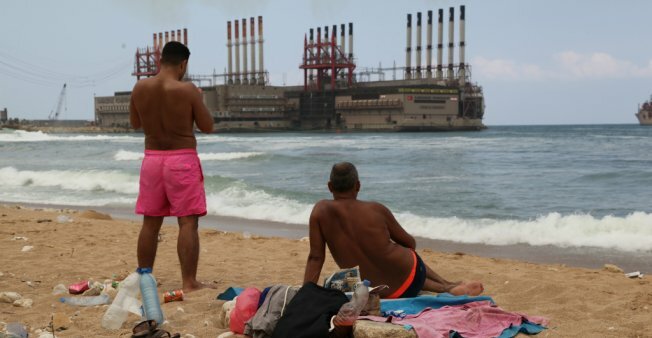 The Lebanese government managed to negotiate a “free” power barge to support the Lebanese electricity grid over the summer. The barge was scheduled to end its operation around mid-October and speculation about a contract renewal for the barge started to circulate in Lebanon. 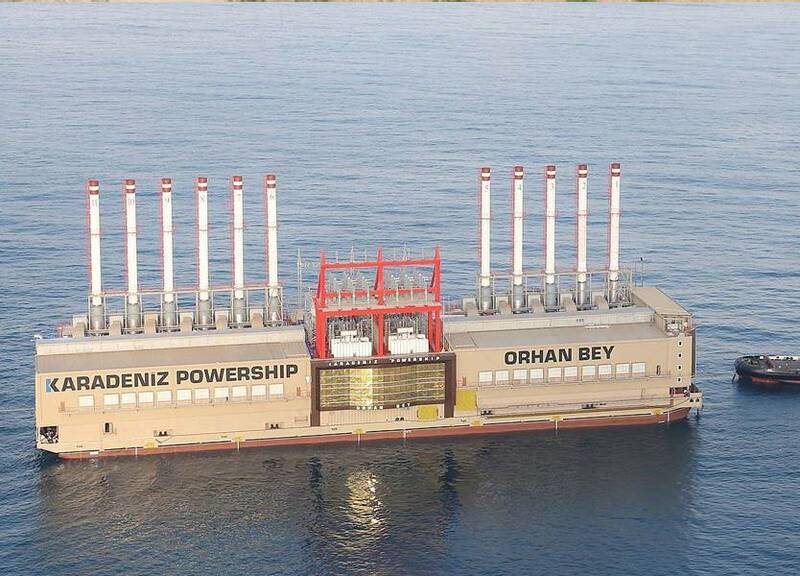 According to Dr. Mardini, the Lebanese government doesn’t have enough money to buy the fuel for the power barge. Any additional funding would require a special loan given the state of the Lebanese treasury. The Ministry of Energy and Water already exceeded its budget for 2018, and additional spending should go through a complicated process in the parliament, with a new tender procedure that will take time. For such reasons, the power barge should leave Lebanon. 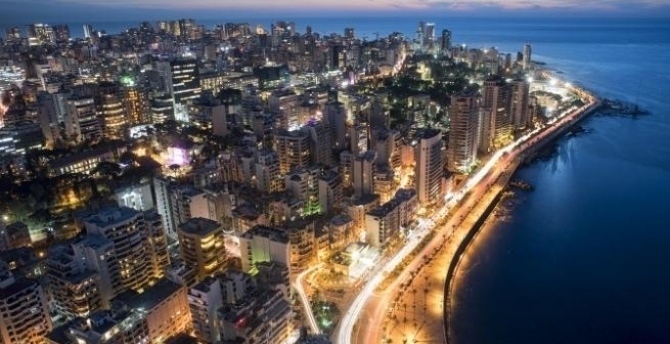 The Ministry of Energy and Water put the Lebanese government in front of a bitter choice, either face harsh blackouts until the end of the year or spend 642 billion Lebanese pounds to buy additional fuel. There’s currently a shortage for the rest of 2018, given the current increase in the international price of oil from $40 to $80 per barrel. 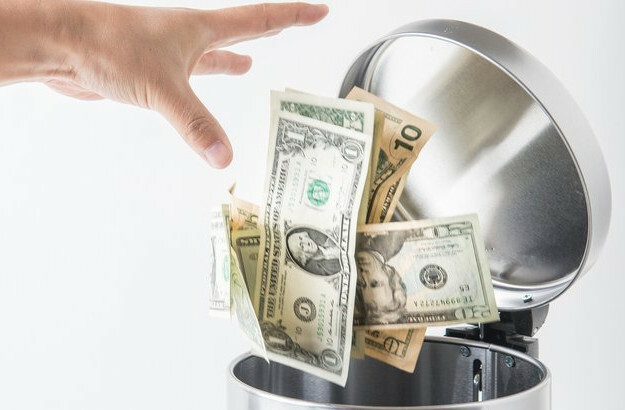 During his interview with VDL, Dr. Mardini argued that 45% of this amount would be put to waste and the remaining 55% will get sold off to the public at a loss. As the Lebanese government does not have this amount of money, they have to borrow it which means new debt on the electricity sector. Instead of wasting this money, Dr. Mardini suggested allowing private companies to come into the sector to fix the network, improve on bill collection, and increase production, which would cost the government zero dollars, all while resolving the problem. 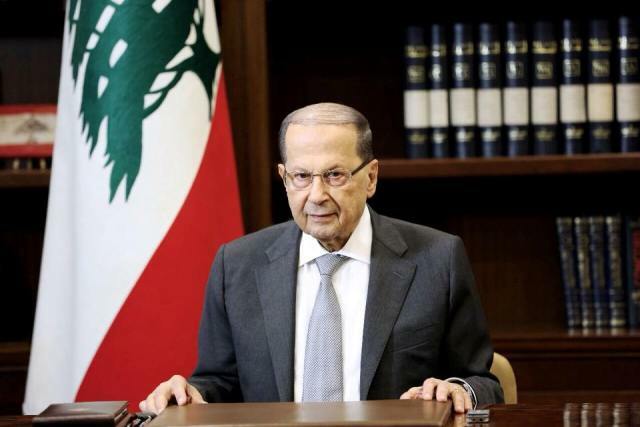 Earlier in 2018, the Lebanese government held a conference asking international donors for $17 billion in loans, as a means to fund infrastructure projects and promising structural reforms in return. A workshop held by the Al-Tajaddod Movement discussed three policy papers on the feasibility of government reforms. LIMS Senior Policy Analyst Mr. Majdi Aref participated in the discussion and cautioned against increasing the debt level. The private sector should be allowed to invest in infrastructure, instead of relying on government spending, especially because Lebanon presently ranks in as one of the most indebted countries in the world. 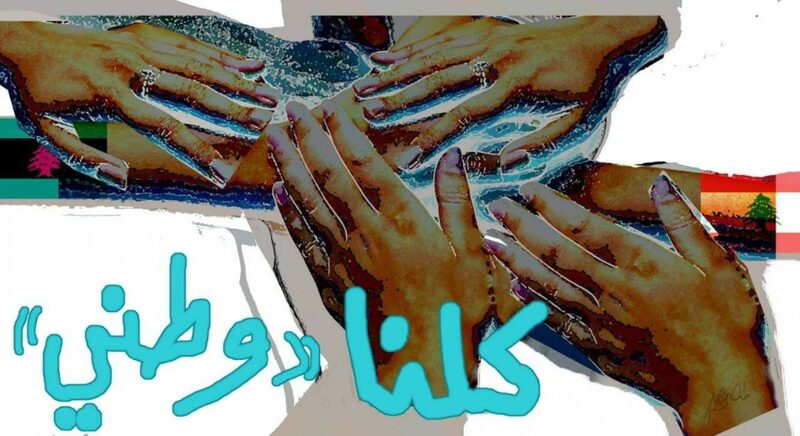 Sewage, garbage, salmonella, E. coli, and much more floats in the water Lebanon’s consumers use to shower in, wash produce, cook meals, and clean their homes. Such unhygienic water derives from the lack of a sewer system, thus allowing waste to seep into the groundwater, rivers, and lakes. Due to the negligence of the government-owned water network, 50% of water is wasted and only 35% of people’s needs are achieved. Therefore, people must purchase their water from water tank trucks, but this water usually arrives to the consumer in a contaminated state. Though the current water standards are abysmal, LIMS has found a feasible solution to ensure clean water, and to put in reverse the dire health and environmental impacts this dirty water has already created. Its policy paper highlights an innovative way to restructure how the sector works; by dividing it into three distinct parts which include production, transport, and distribution, a competitive market can come to fruition. It demonstrates that production and distribution can easily be open to competition, which would lead to better quality and lower prices. If the market opens for private water companies to manage particular water sources in Lebanon, such as lakes, rivers, and groundwater, they would have a strong incentive to properly keep the water clean, since providing consumers with dirty water, would only lead their clients to other water companies. Additionally, such a solution would also save the government the 4.85 billion dollars it intends to spend on the water sector in the coming years. 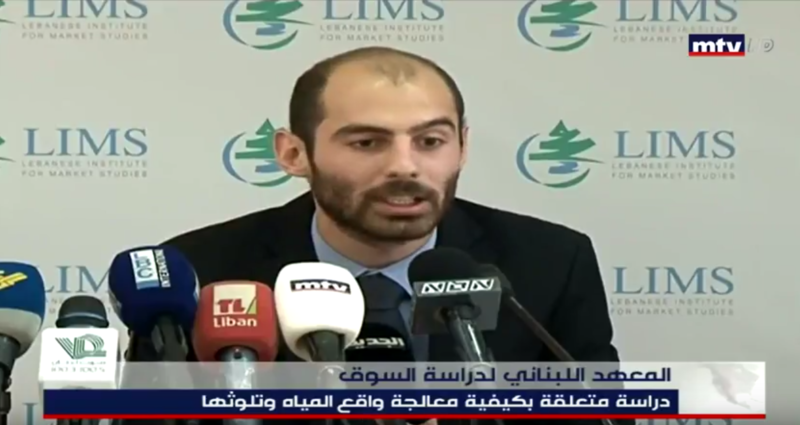 LIMS released a policy paper that highlighted the need for water reform in Lebanon, in a press conference that gained nationwide media attention. All major news outlets attended the conference, as well as reporters from well-known newspapers and radio stations. In total, 11 newspapers covered the conference and introduced LIMS’ solution. 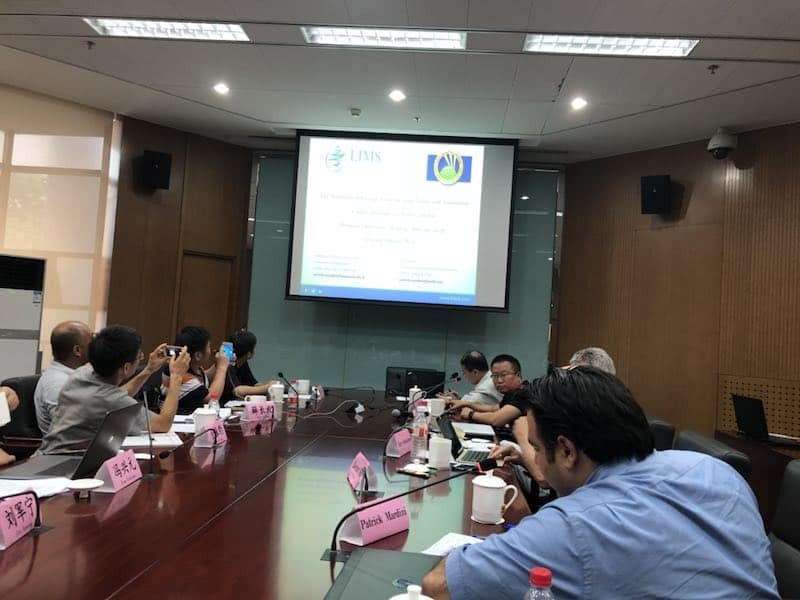 During the event, LIMS discussed its newest policy paper that emphasizes on creating a competitive market in the water sector, which would insure better quality and service, along with lower prices to consumers. MTV also announced during primetime news, the new policy paper explaining that the solution will save billions of dollars for the government. The report stressed on the importance of revitalizing the sector to benefit everyone. 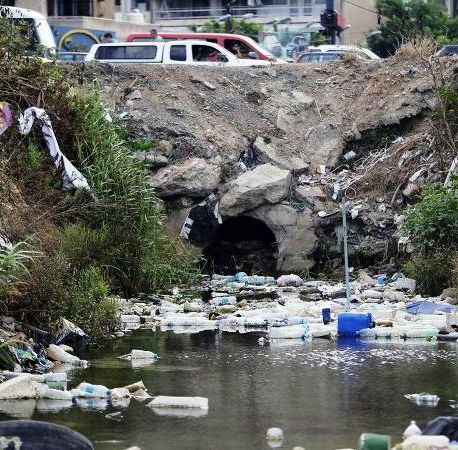 The TV station’s report pointed out the drastic situation the country has reached, with sewers polluting most of Lebanon’s water resources and causing severe health problems to citizens. It then explained that LIMS’ solution will not bear any costs on the government and will provide each and every citizen with pure and affordable water. The report stressed the urgent need of solving the water problem in Lebanon, stating that everyone knows that the government is incapable of finding a solution. The report also demanded that decision makers have an obligation to discuss different alternatives and not stay stringent to their plans. 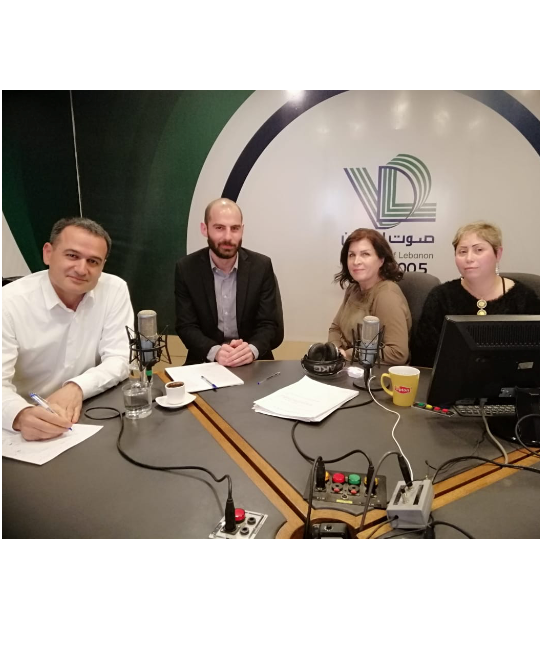 One of the leading radio stations in Lebanon, Voix Du Liban, explained that Lebanon has reached dangerous water pollution levels. It then announced the solution proposed by LIMS, to make clean and inexpensive water available to all citizens. Dr. Patrick Mardini appeared on a France 24 television report explaining that the government’s past strategies have led to the outages we have today. “The government-owned EDL has a yearly deficit between 2 and 2.5 billion dollars,” said Dr. Mardini. He clarified that if the government enforces its plan of price fixing, the Lebanese people will no longer have alternative generators and will live in darkness. He emphasized that the only rational and sustainable solution for this problem, lies in opening the sector to competition. Due to the price hike in alternative electricity bills, the Ministry of Economy and Trade is forcing generator owners to install meters and sell at a fixed price, while also stating that their work is illegal. The government has rationalized such a plan by computing their costs and setting a profit margin. Dr. Mardini ridiculed the study as deeply flawed and lacking any scientific evidence. He explained that this will allow for some generator owners to make a profit, while others will suffer losses due to many technicalities. Fair and efficient prices can only become a reality, if the sector opens for competition to enter, insisted Dr. Mardini. Koullouna Watani, a coalition consisting of 11 civil society and independent groups, lost in the last parliamentary elections, due to their inability to agree on mutual principles. Dr. Mardini suggested, in an An-Nahar article, two goals that could bring civil society factions together, which are to first pass a referendum law that would allow the people to sort out governmental disputes, and second, enact the principle of subsidiarity, which motivates people to improve their own situations. These goals would encourage people to state their opinions about laws being passed, strengthen their personal freedom, and provide small societies with protection from violations. Lebanon’s electricity cuts are getting more severe due to poor government planning. As a consequence, it has decided to force alternative power producers, to put a fix on their prices, threatening to confiscate their generators if they reject. In a radio interview, Dr. Mardini criticized this plan, saying that it is unconstitutional and has never worked in other countries. “Price fixation has always failed, and we do not want to become another Venezuela,” said Dr. Mardini. He emphasized on the government’s essential role in protecting people’s rights to enter the sector and compete as a means to reduce prices and enhance quality. Dr. Mardini highlighted the role of the low interest rate policy adopted by monetary authorities in the early 2000s and of the US government-sponsored entities such as Fannie Mae and Freddie Mac in encouraging banks to lend money to subprime borrowers. This artificial boom was followed by an unavoidable bust leading to bank runs, financial contagion, and the transmission to the US economy, which then spread worldwide. While many economists rely on the multiplier theory to defend expansionary policies, Dr. Mardini shows that those analyses fall into the “broken window fallacy”. 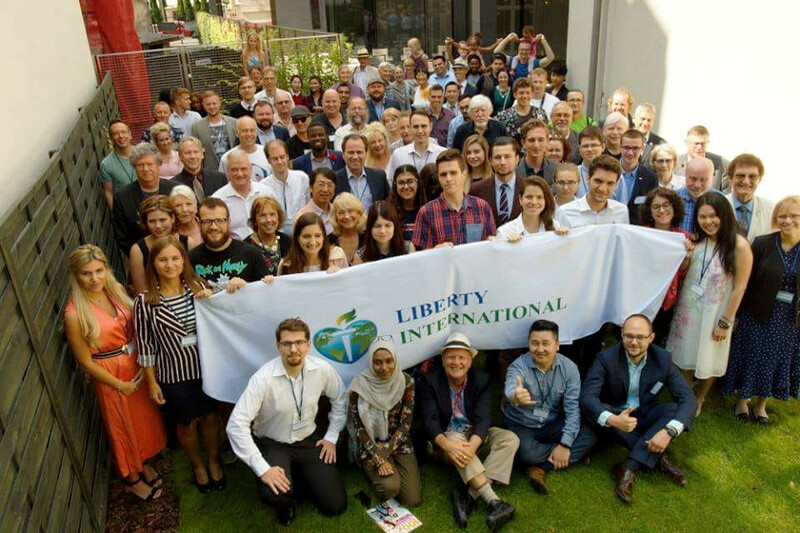 Over 120 academics, entrepreneurs, professionals, NGO leaders, and students from 24 countries met in Krakow, to discuss current topics related to freedom. 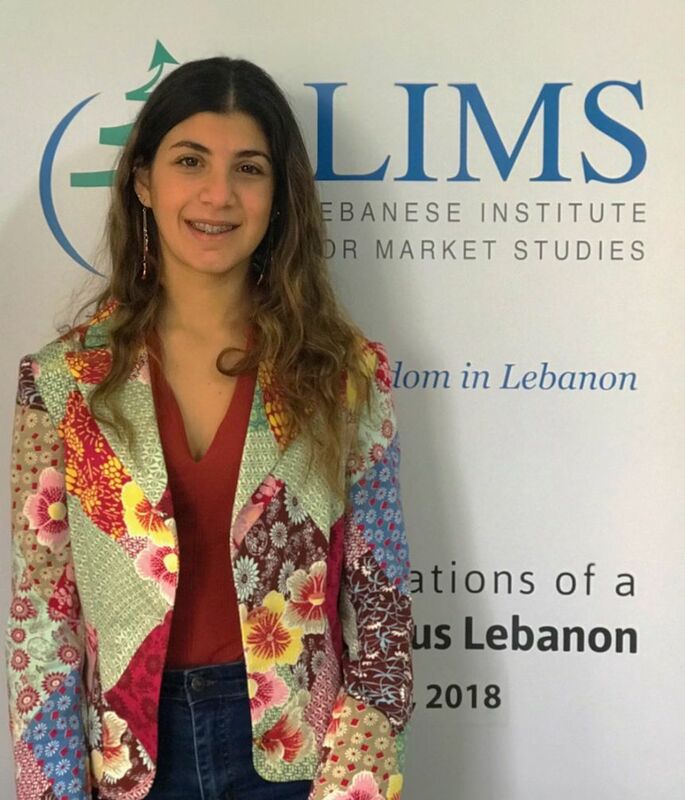 LIMS was represented by Ms. Kristelle Mardini and Dr. Patrick Mardini, and presented the major economic challenges facing Lebanon, including high debt, excessive public spending, and bad infrastructure, which are related to an institutionalized system of rent extraction. Dr. Mardini argued that this high rent is the price Lebanon pays for peace. He also presented how LIMS works with political parties on specific policy reforms. 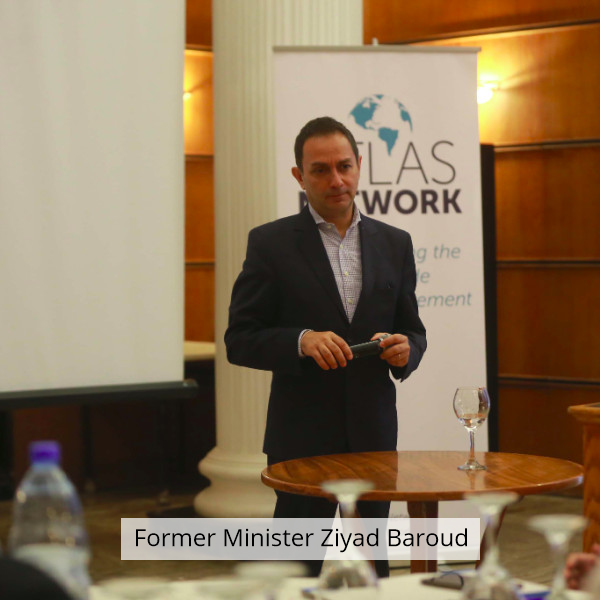 Atlas Network featured LIMS’ work to reform the electricity sector in Lebanon, as daily power blackouts are a constant part of life for Lebanese residents. 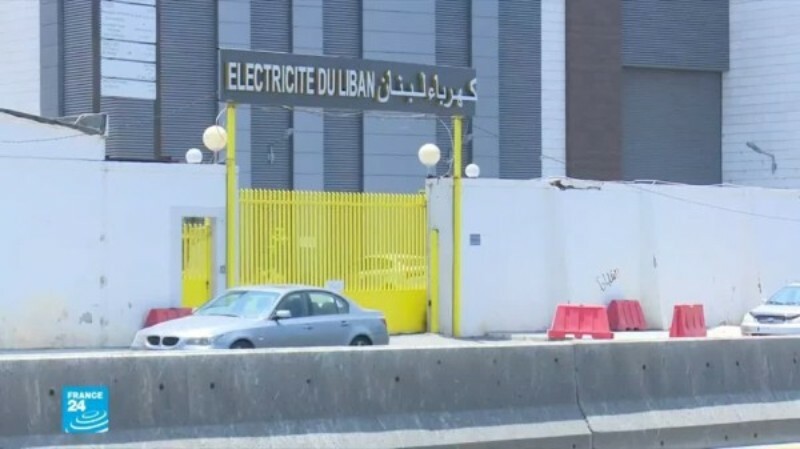 LIMS has recently had success in allowing a private company to enter the electricity market and in having less electricity subsidies adopted by the government, through its project Turn the Lights on in Lebanon. 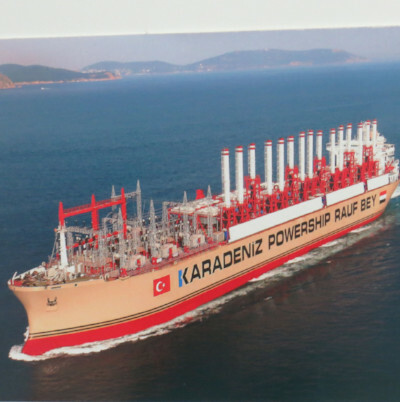 Barges managed by the Karadeniz power ships from Turkey have been providing Lebanon with electricity for years, however that has come at a hefty price. Residents of the town Zouk Mikael, have long been complaining to the government about the environmental problems the power ships have brought along with them. According to Dr. Mardini, president of LIMS, for a decade now, the Ministry of Energy’s criteria for electricity has not been to choose the cleanest energy source, the cheapest, or most efficient, the time horizon has been the most crucial aspect. Read the Article in English Here and in French Here. 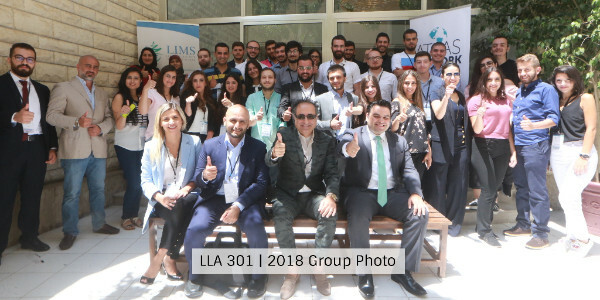 This year's edition hosted 33 staff members and activists—compared to 18 last year— from 8 major Lebanese political parties, who stayed committed to the program and completed LLA 101 and LLA 201. 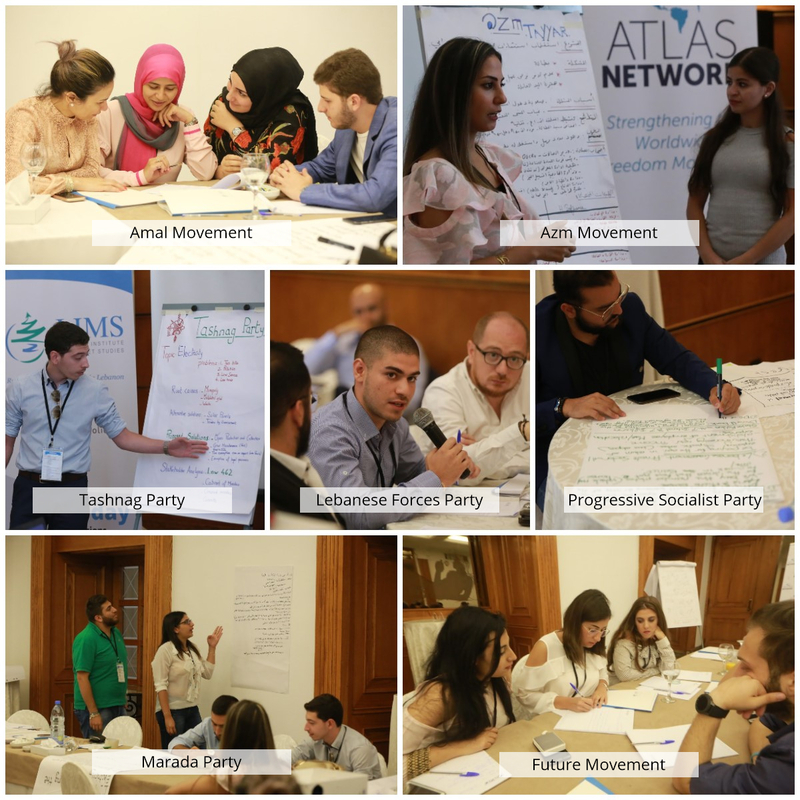 Three new political parties joined our program this year which include: the Amal Movement, the Progressive Socialist Party and the Tashnag Party. 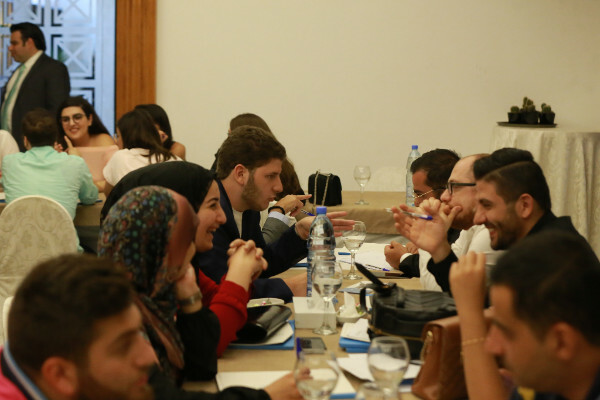 Participants worked with Arabic speaking experts on how to build a market-oriented policy proposition to deal with Lebanon’s economic challenges. 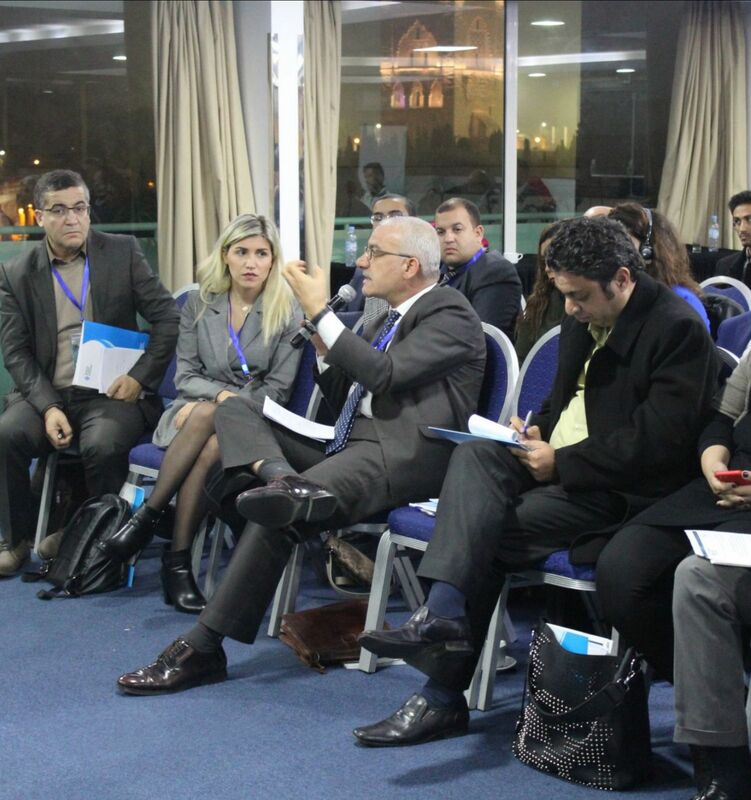 Participants had the chance to speak about the lawmaking process in Lebanon with former Minister of Interior Ziad Baroud. 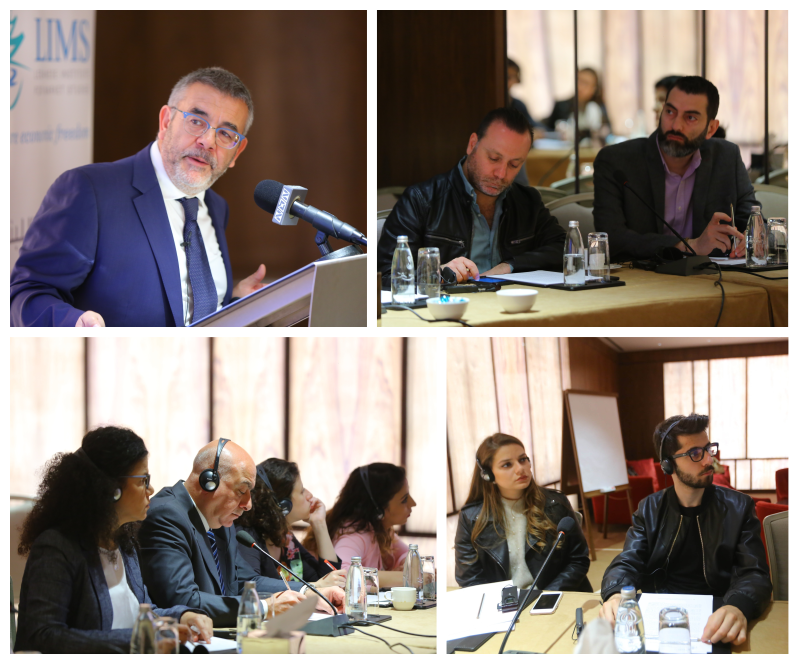 Mr. Baroud, a highly respected and well-known legal expert when it comes to law-making in Lebanon, highlighted the different methods that can be used by the participants to get their policies adopted. Attendees were highly engaged, especially since they had already chosen their topics. After the session, each political party worked with the speakers, on defining the problems, identifying the root causes behind them, and discussing feasible solutions. The program included a one-on-one speed exchange session, where members from different parties got to know each other, discussed, and defended their ideas. The room was buzzing with rational, nonsectarian, and productive arguments. After the session, each party regrouped and reviewed their policies in order to refine their proposals. Participants were introduced to the principles of liberty, that have shaped our world into what it is today. By contrasting the difference between free market countries and non-free market ones, staff of political parties were able to look at successful stories around the world and see how much they could learn from them. Afterwards, each party worked on refining their solutions and identified stakeholders, in order to strategically position their policy proposition. What started out as simple proposals, became throughout the LLA 301, a well-defined and properly-structured working plan. Each party is now ready to embark on a journey to write its own policy paper on topics relating to transportation, toll highways, private electricity production, healthcare, water, telecommunication, and attracting investments. Electricity production in Lebanon is a government monopoly that does not provide 24 hours of electricity per day. Businesses and households buy electricity on the “black market” of private generators, as electricity production by private companies is outlawed. The price on the black market increased sharply in the past month and many people started to argue for further government intervention. Dr. Mardini explained that the higher bill is due to the government increasing outage hours and this was mainly caused by central planning. The electricity budget was established based on cheap oil prices, and the government spent the past years wasting resources on renting powerships and building new factories. Oil prices have more than doubled in the past year and the government does not have enough money to buy fuel for those factories! 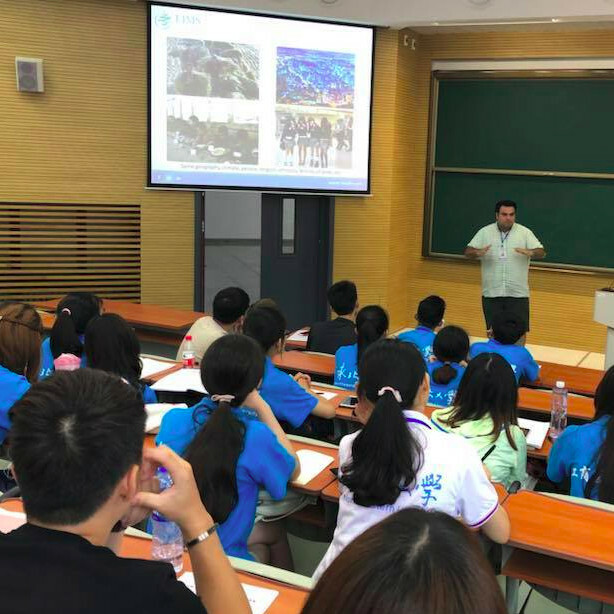 LIMS President Dr. Patrick Mardini discussed the importance of economic freedom at the Northeastern University in China with a group of scholars, policy analysts, and students. He focused on the importance of property rights, free access to markets, low taxes, ease of doing business, entrepreneurship, and open trade. The trade war between China and the US was a major topic of discussion. Dr. Mardini explained that the balance of payment is always balanced, as trade deficit leads to a financial surplus. To illustrate, China uses US dollars obtained through trade to invest in American bonds, which explains the low interest rates in the United States. 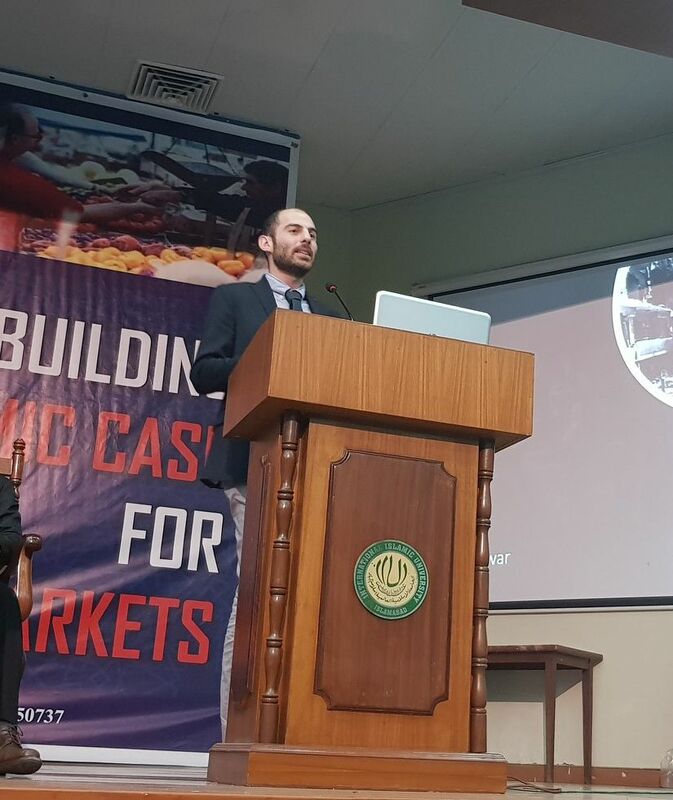 Dr. Mardini presented empirical evidence showing that Bitcoin behaves like commodities. He then investigated the intrinsic value of the cryptocurrency and focused on its ability to transfer money out of troubled currencies. Those advantages however, do not make Bitcoin a currency, as long as depositary institutions do not start issuing interest-paying Bitcoin deposits and granting Bitcoin loans. These operations are currently inconceivable due to the absence of a contract enforcement mechanism. 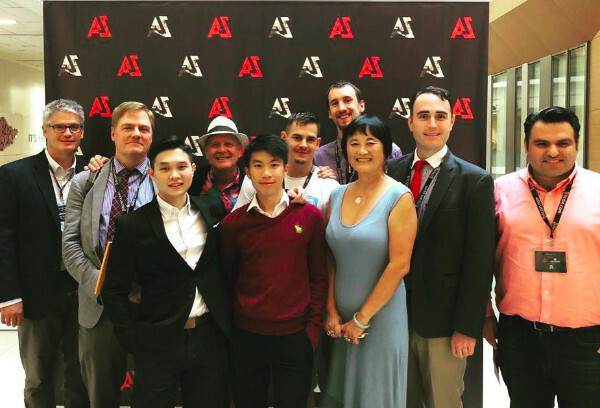 After the conference, Dr. Mardini was invited to share his insights with a group of 500+ Bitcoin activists. For the first time in Lebanon, an independent power producer (IPP) has been allowed to operate. LIMS President, Dr. Patrick Mardini explained that this government initiative will open the door for more IPPs to enter the electricity market and avoid the institutional problems that have been blocking the construction of new power plants. He noted that the cost of converting fuel to electricity is 2.95 cents per kilowatt hour in the IPP factory, which is half the cost the government pays to rent out power ships. He also argued that the distribution market should also be opened to competition. Click Here to Read the Full Article in Arabic. Dr. Mardini explained that the government had set a budget for electricity based on $65 per barrel oil price. Today however, oil prices have increased to $75, which puts the government in a deficit and makes it unable to produce enough electricity. He also ridiculed the government’s decision to build new factories, when it does not have enough money to buy fuel. Dr. Mardini insisted on cutting subsidies on electricity and improving the bill collection rate as the initial and only steps towards a healthy solution. Click Here to Watch the Full Interview in Arabic. During its last session, the government was trying to decide whether Lebanon should buy electricity from Turkish power ships or from the Syrian government. 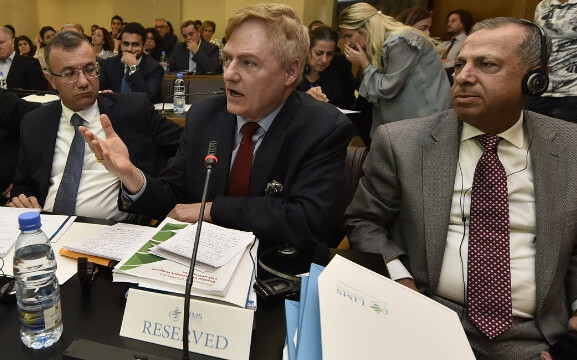 The Minister of Energy and Water explained that the Syrian option would cost an extra $15.6 million, as compared to the power ships and argued in favor of the latter. 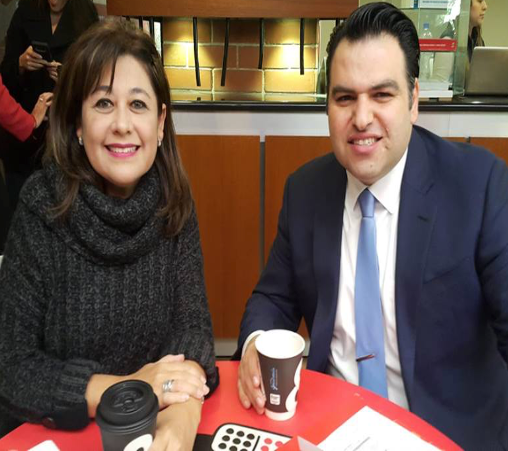 Dr. Mardini explained on the Nahar Jadid show, that both options are unacceptable, as it is not for the government or the minister to decide on where to buy electricity from, based on a study. The government should allow for all potential suppliers to offer their services including private independent power producers. President of LIMS, Dr. Patrick Mardini expressed his satisfaction on the Hariri government’s decision to adopt the Build-Operate-Transfer (BOT) model at the new Deir Amar power plant—making J&P Avax the first privately-owned electricity company in Lebanon. Dr. Mardini explained that this new framework saves the government the cost of investment, operation, maintenance, and taxes. It also transfers part of the risk to the company and reduces the overall costs. Will Electricity Crisis Make Lebanon’s Summer Pitch Black? Lebanon is already renting two powerships, stationed at the shore and supplying electricity as a transitional solution. For the past year, the ministry of energy has been trying to rent two additional powerships, bypassing the Tenders Department. 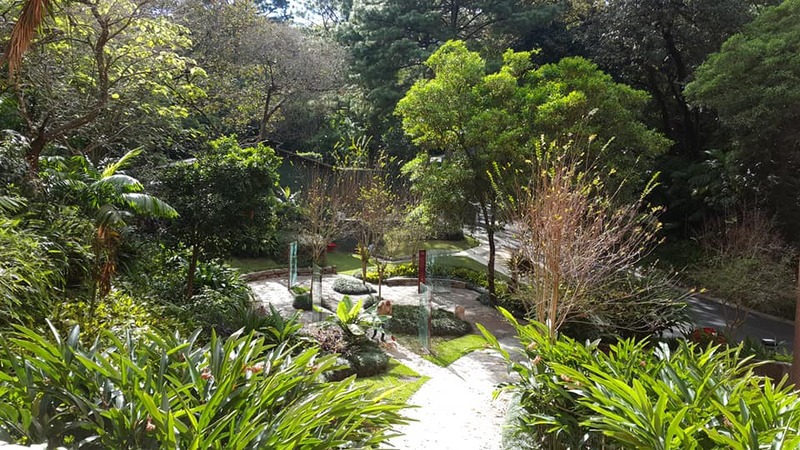 LIMS has been insisting on going through the Tenders Department, for more transparency, knowing the department will reject the project and save about $850 million for taxpayers. In a bid to convince the cabinet, the minister of energy compared the cost of powerships to importing electricity from Syria. He argued that powerships will save around $15 million compared to the Syrian option. Dr. Mardini considers the study as being incomplete, as the third option of allowing market entry for private companies, was not regarded. The government requested the minister, to go through the Tenders Department for the two extra ones, while renewing the contract of the existing ones. 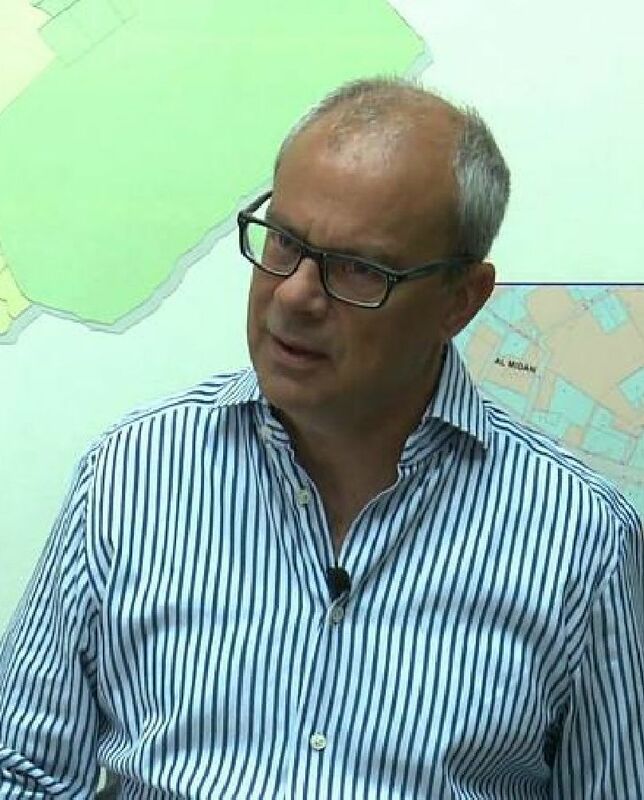 Dr. Mardini intervened on VDL’s morning news, before the cabinet meeting, saying BOT would have positive results, if certain conditions are met. However, he argued against renting additional powerships and insisted on the importance of transferring the file to the Tenders Department. He highlighted that the government asked the ministry to study all possibilities, including allowing private companies to build factories, but the ministry limited the study to powerships versus imports from Syria. Another study by the ministry shows, electricity made by powerships costs twice as much as private factories built on Lebanese soil! Click Here to Listen to the Full Interview in Arabic. Dr. Mardini highlighted that the current electricity plan will lead to increasing costs on the Lebanese government. 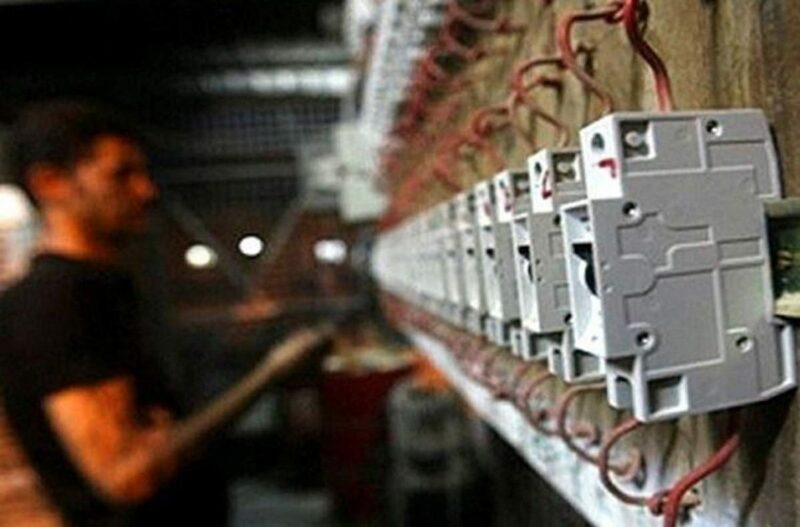 Given the spike in oil prices, the advance payment to Lebanon’s state-run electricity company, will not cover the electricity costs and once again, the government must decide to either ration or increase expenditures. He insisted that the best solution is to terminate electricity subsidies—which has been voted on, but not yet implemented —and allow the private sector to handle production and distribution. Increasing production before handling those problems will be money wasted, he added. 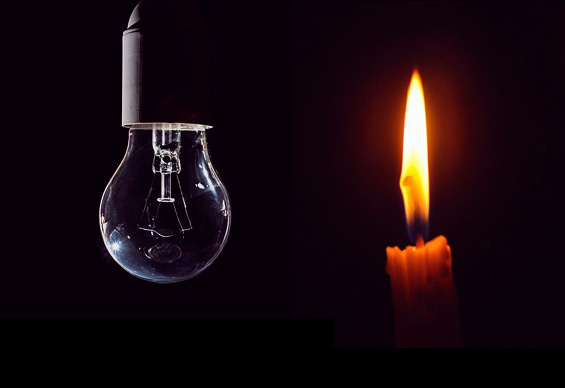 Dr. Mardini stated that despite the lack of electricity, the ministry of energy is limiting, rather than welcoming market entry, in a country suffering from daily outages. 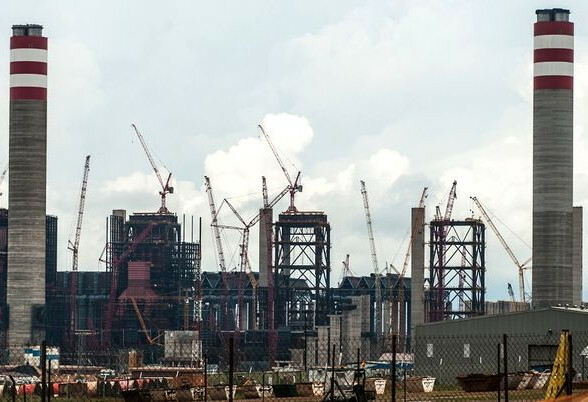 Whenever the ministry feels like increasing production, they open a call for bids, with restrictive tender conditions, guaranteeing a win for a specific company. To illustrate, the ministry could require exclusively floating generation—which only powerships can supply. Even if the tender was done properly, it would still be counterproductive, as just a single company will win the bid, keeping others out of the market. Dr. Mardini criticized the public hospital employees strike, accusing them of taking patients as hostage. In private hospitals, patients get good service, because employees know the patients are covering their salaries, while for public hospitals, the government, is paying, causing possible patient mistreatment to happen, he noted. 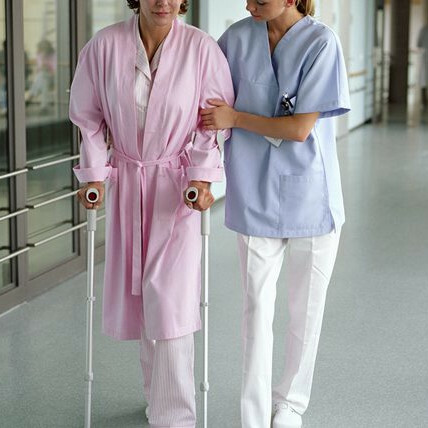 Dissatisfied patients can move to private hospitals for their treatment, however, they will still be paying for public hospitals' employees through their taxes. Failure is rewarded, by the government pumping more taxpayer money into the mismanaged state entity. 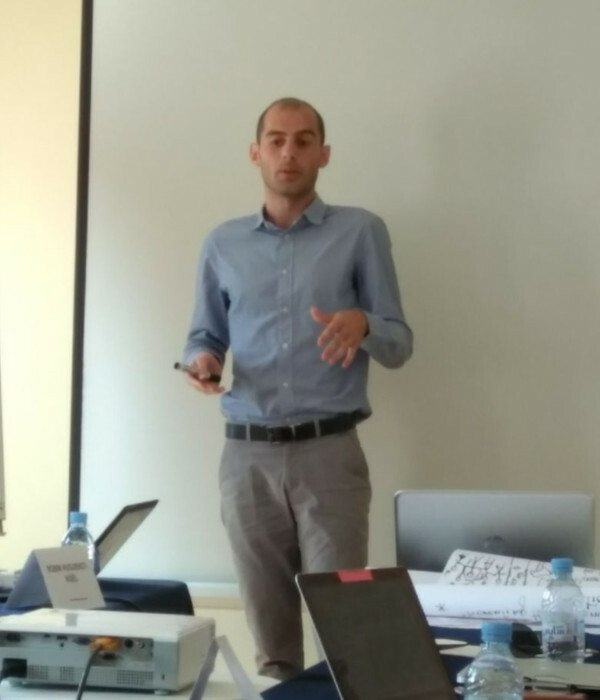 During a workshop organized by the Arab Center for Social Research and Humane Studies in Morocco, LIMS Senior Policy Analyst Majdi Aref, highlighted how Lebanon is not achieving its full technological potential, due to the slow and expensive internet services. The country’s internet speed is ranked third last worldwide, as per Speedtest Ookla. Lebanon’s governmental price-setting policy prohibits it from fully exploiting the internet capacities it currently owns. For internet services, freeing the market from government boundaries and allowing its infrastructure to grow, would benefit businesses and individuals. Mr. Aref, attended a conference on the importance of inclusive economic growth in the MENA region. Social entrepreneurs from across the region shared their successful experiences and the measures they took to accomplish them. 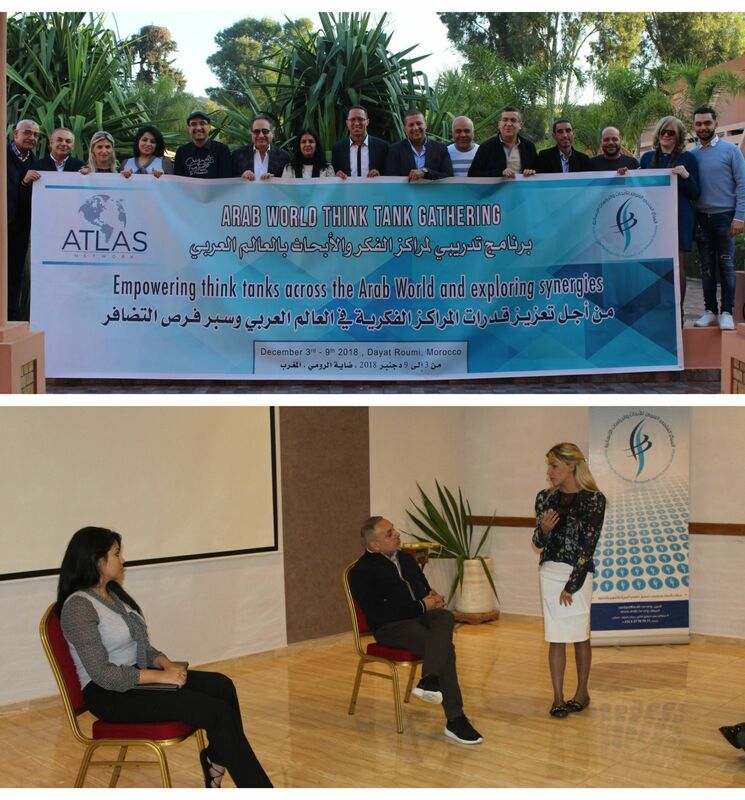 Outstanding results were achieved in empowering women and children, despite the limited amount of resources available to the entrepreneurs, who shared their success stories at a conference, held by the Arab Center for Social Research and Humane Studies in Marrakesh, Morocco. 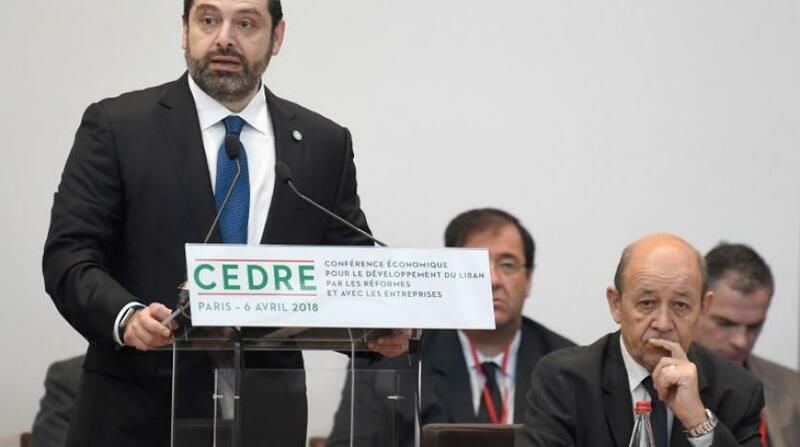 On April 6, 2018, the Lebanese government went to the CEDRE conference in France to request funds for an eight to twelve-year investment program in infrastructure. The government collected pledges of $10.2 billion in debt and 0.86 billion in grants, in a bid to support the first phase of the program. The funds will be invested in transportation, mainly roads, but also in electricity, water and irrigation, wastewater, telecommunication, and solid waste management. Lebanon does not have proper institutions that would prevent the squandering of CEDRE’s money. The country ranks very low in efficiency of government spending and transparency of government policymaking, all while ranking high in favoritism in decisions of government officials, along with irregular payments and bribes. The government is clearly unreliable to upgrade the quality of infrastructure. Therefore, CEDRE will simply add up to the current $79.5 billion of public debt which represents 150% of the GDP. Why Spend $3.6 Billion of CEDRE Funds on Electricity, When Zero Dollar Solution Exists? 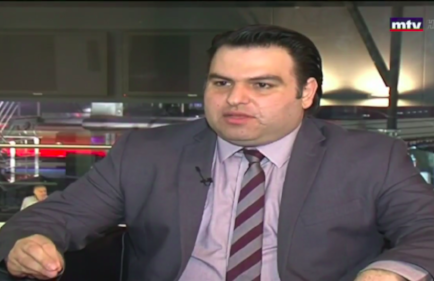 During his interview with the Al Hadath program on Al Jadeed TV, Dr. Patrick Mardini, the president of LIMS, revealed that $3.6 billion dollars of CEDRE’s money is destined to investments in electricity. He suggested an alternative solution that would resolve the problem, while costing virtually zero dollars to the government. He argued for opening the electricity market to competition, to attract private investors to the sector. Instead of forcing households into buying electricity from the failed government company, households should be allowed to choose their supplier freely. Why Spend $5.9 Billion on Transportation? Instead of spending CEDRE’s borrowed money on government investments in transportation (mainly roads), private toll roads can save the money. 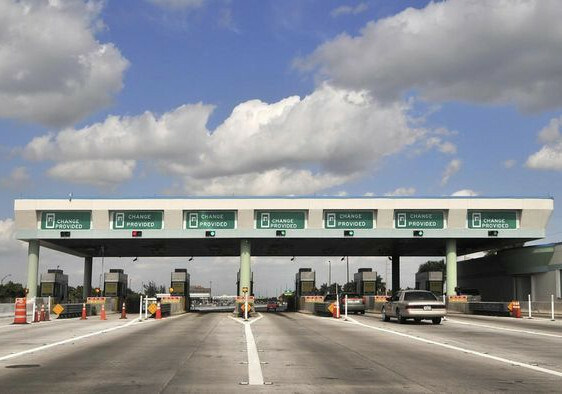 Toll roads can be built, owned, and operated by private companies at no cost to the public. Financing can come through private debt and equity, which would be repaid through toll revenues. Adoption of this plan would help Lebanon resolve its traffic problem, as it has done so for many countries, at nearly no cost to taxpayers. Higher Cost of Borrowing for Everyone! 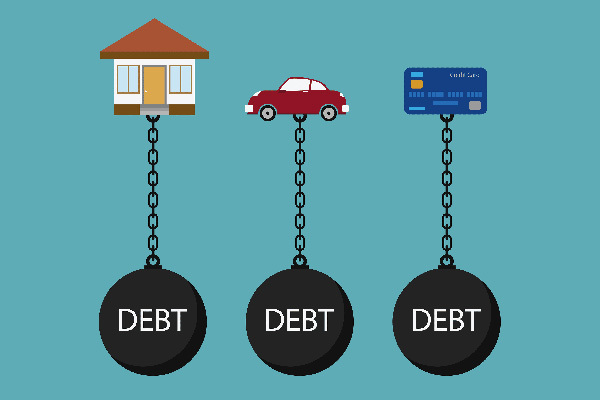 Dr. Mardini stressed on the cost of additional government debt, that would be transferred to households not only through future taxes, but also through higher interest rates. He explained that interest rates on car, housing, personal and business loans, are calculated by adding a premium to the government rate. Higher public debt would mean higher rates on Lebanese sovereign bonds, leading to more expensive loans for households and businesses. Rates are already very high in Lebanon since the country is currently the third most indebted in the world. 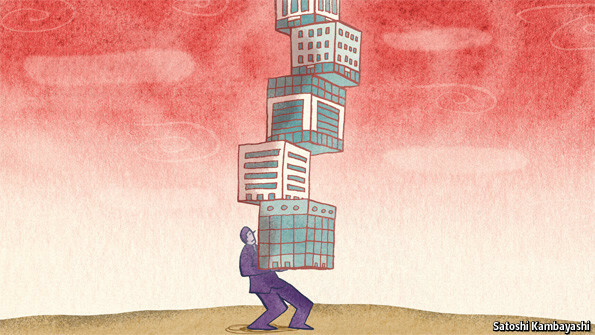 The government should focus on internal reforms to decrease spending and downsize. 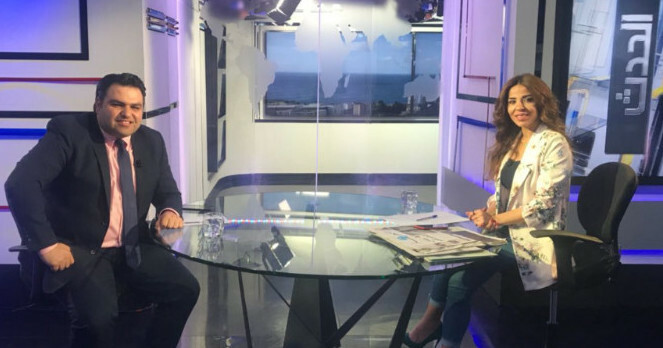 During the expert opinion segment at MTV's prime time news, Dr. Mardini, highlighted that around 40% of electricity production is wasted in Lebanon because of the inefficient network and more importantly, because of stolen electricity. The remaining 60% is sold at a loss. Any additional investment in production capacities, using CEDRE’s debt, will not resolve the problem and the extra production will still be stolen and sold at a loss. He gave the example of Georgia, a country who managed to reduce the unbilled amount of electricity from 70% to 5% using regional, smart electricity meters. 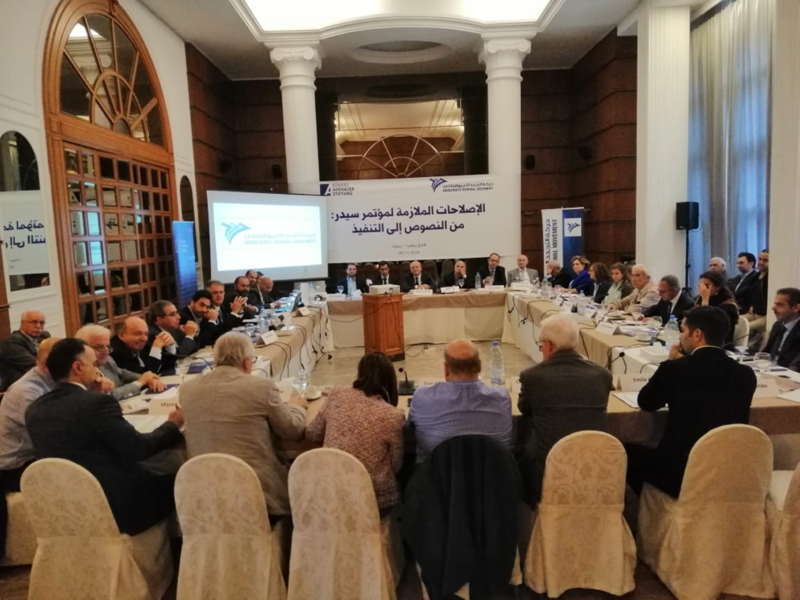 LIMS director, Kristelle Mardini, was invited to the Democratic Renewal Movement roundtable along with Lebanon’s top economists and public policy experts to discuss what’s needed to trigger growth. Ms. Mardini questioned CEDRE's proposed solutions and described them as worn out, aged, and were proven to be ineffective when they were tried in previous donor meetings, such as Paris 1 and 2 and 3. She insisted on how crucial it is for the government to adopt new solutions for infrastructure problems, instead of re-writing abused ones. Additionally, she reminded the participants of how Lebanon was prosperous in the 50s and the 60s when laissez-faire and small government were combined, and compared it to the post-civil war era where additional government spending and debt has only led to more taxes and growth. The President of the Lebanese Republic developed a study quantifying the damages on the economy, due to electricity outages and losses. He stressed the Cabinet to adopt an urgent reform. 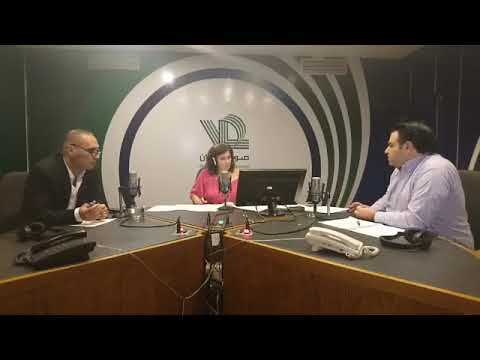 Dr. Mardini reacted on Voix Du Liban morning news, confirming the importance of resolving electricity challenges through legalizing private generation and sales of power as opposed to further government spending. 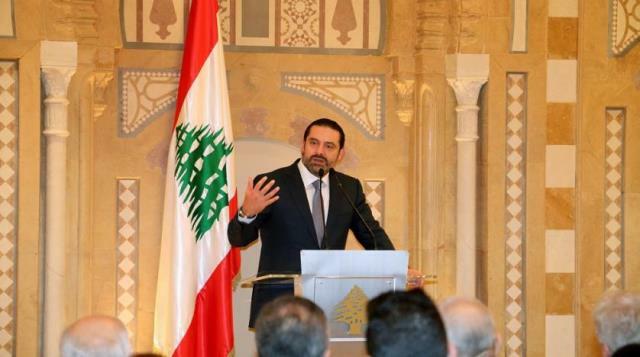 Any additional spending would be financed by taxes and/or debt, though Lebanon is unable to do either because of the huge deficit, debt, and sluggish growth. 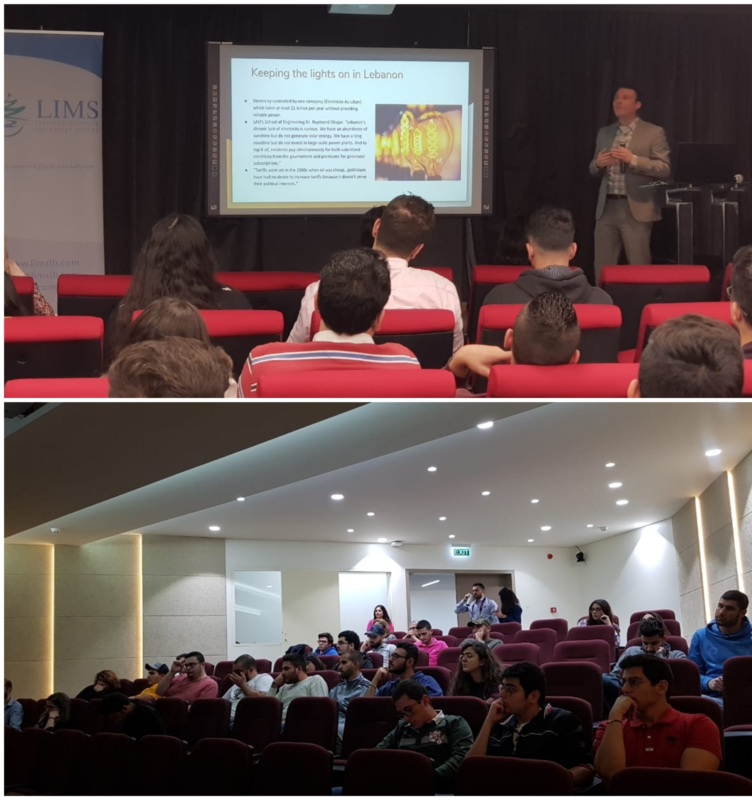 LIMS held a conference and invited Professor Pierre Garello, to discuss the problems of electricity in Lebanon and to bring an international perspective to the current political debate, for this event. Prof. Garello explained that in the 90s, a global shift toward more competition started in the sector. He gave the example of Georgia and showed how market-oriented reforms solved the problems of power outages and uncollected bills. The role of state should therefore be limited to creating an attractive and enabling environment for investors. Media outlets, including newspapers, TV and radio stations, covered the conference, by writing about the event on their online news platforms. An-Nahar Newspaper, Lebanese Broadcasting Corporation International (LBCI), Lebanon Files, Lebanese Forces, National News Agency (NNA), National Broadcasting Network (NBN), Elnashra, Al-Mustaqbal, Tripoli Scope, Eliktisad, Akhbar Al Yawm, Lebanon 24, Shafaqna, Al Jidal, Arab Youm, 7aradh, Ad-Dawra, Al-Binaa and Nabad Beirut. 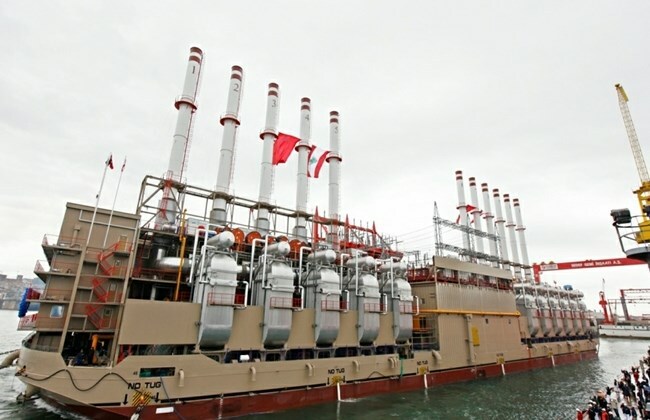 Power Generation Vessels Pushed Back… Once Again! Once again, LIMS went to the front lines arguing against renting additional power generation vessels, just before the Lebanese Cabinet meeting. 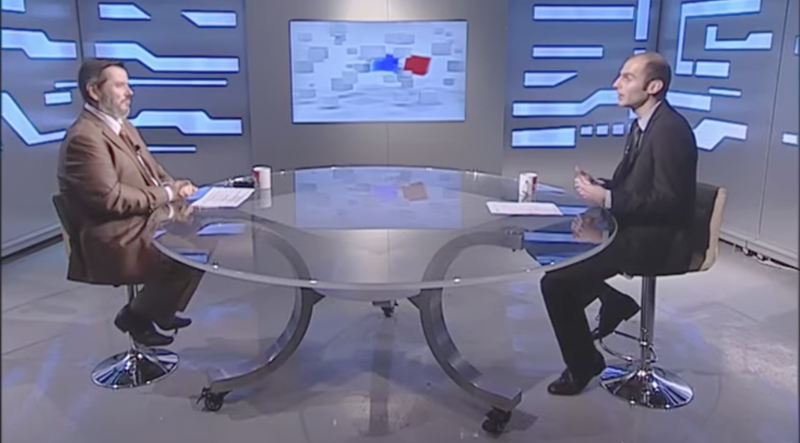 In an interview with leading political talk show Nharkom Said on LBCI, Dr. Mardini explained that 45% of Lebanon’s colossal debt is due to spending on electricity. The current fiscal deficit does not allow any further expenses. He argued instead for opening the sector to private companies and allowing competition. Towards the end of the interview, the reporter covering the Cabinet meeting announced that the voting on power ships was suspended. 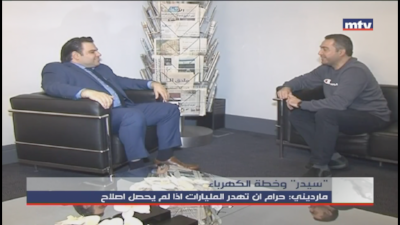 Mr. Majdi Aref, LIMS’ senior policy analyst, was interviewed on the talk show Mashakel wa Houloul on Tele Liban. Mr. Aref explained the importance of competition in resolving electricity problems and alienating the sector from political tensions. He showed how government management of the sector leads to high losses and power outages, and retraced LIMS’ advocacy efforts over the past year. Mr. Aref announced the institute’s upcoming conference, hosting Prof Pierre Garello, an expert on competition policies in sectors suffering from network effects. 1. Interview with Dr. Mardini on Al Hadath on Al Jadeed TV. 2. LIMS featured on MTV Lebanon's prime time news. 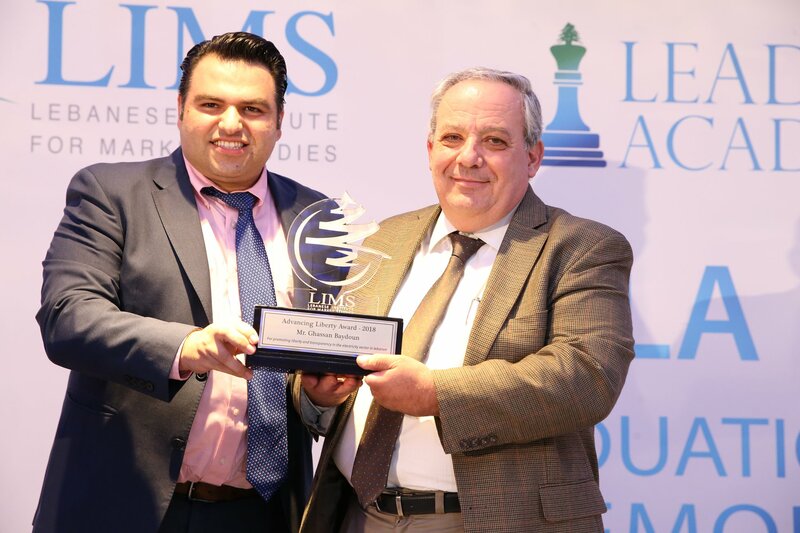 LIMS held its annual dinner with the media to celebrate winning the "Atlas 2017 Middle East & North Africa Liberty” award for its "Legalize Electricity in Lebanon" campaign. Journalists, news anchors, editors in chief, reporters, news department heads, and general managers, from the top 23 Lebanese TV stations, newspapers, radio stations, and online media channels were invited to celebrate our success. 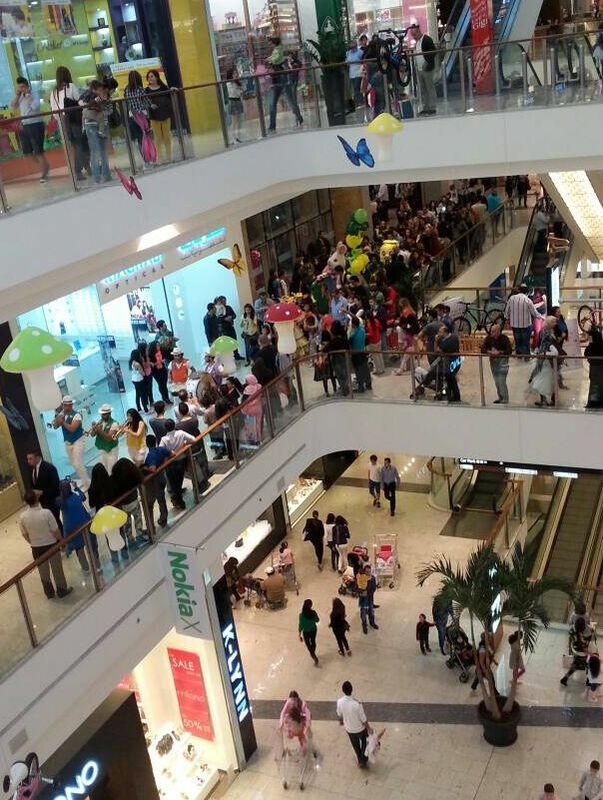 It was covered by several Lebanese channels such as An-Nahar Newspaper, Al Joumhouria, and Ad-Dawra Al Iktissadiya. 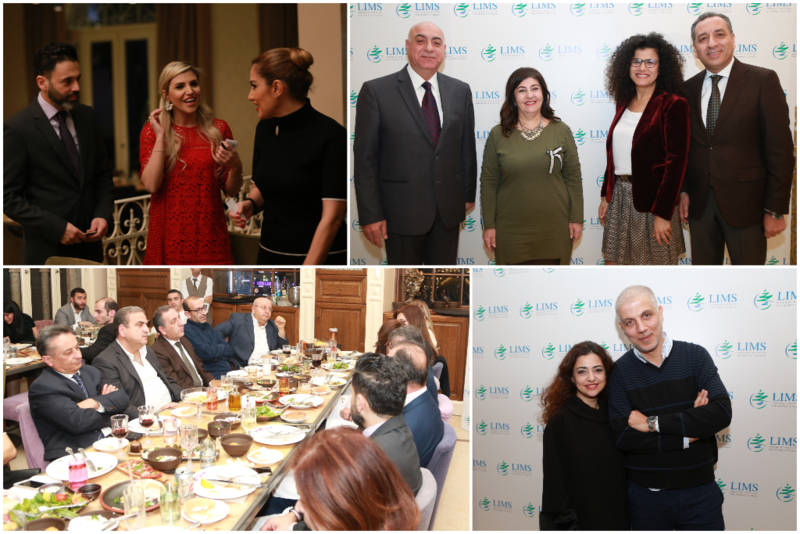 The dinner was also an opportunity for influencers from the media, to get to know LIMS’ mission and expertise in economic reforms for Lebanon.